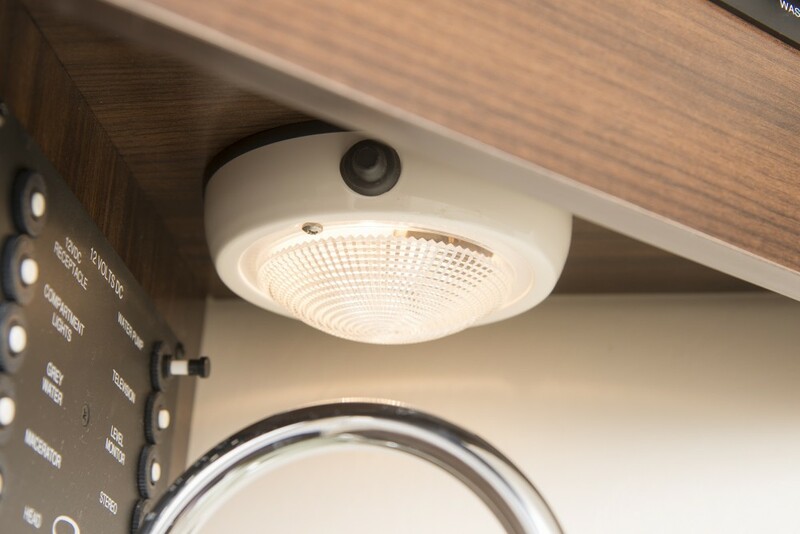 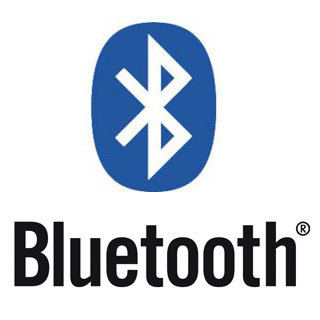 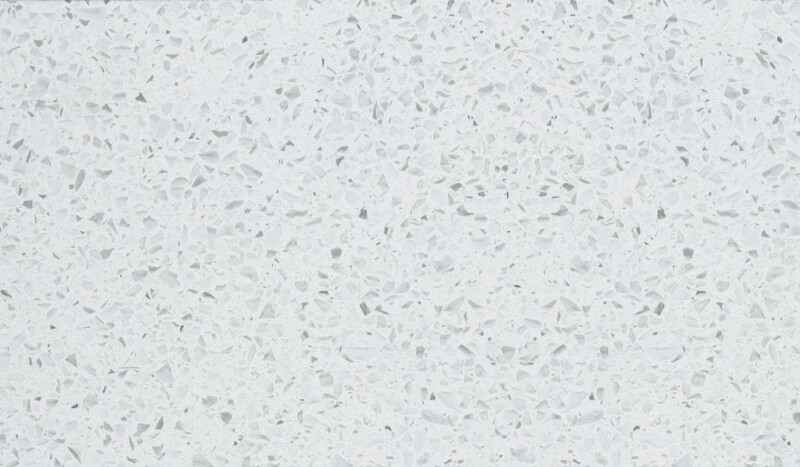 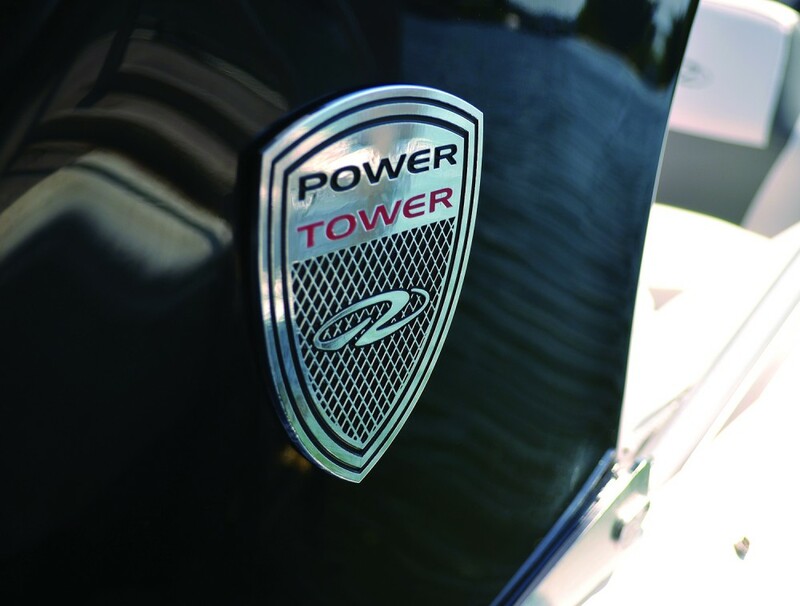 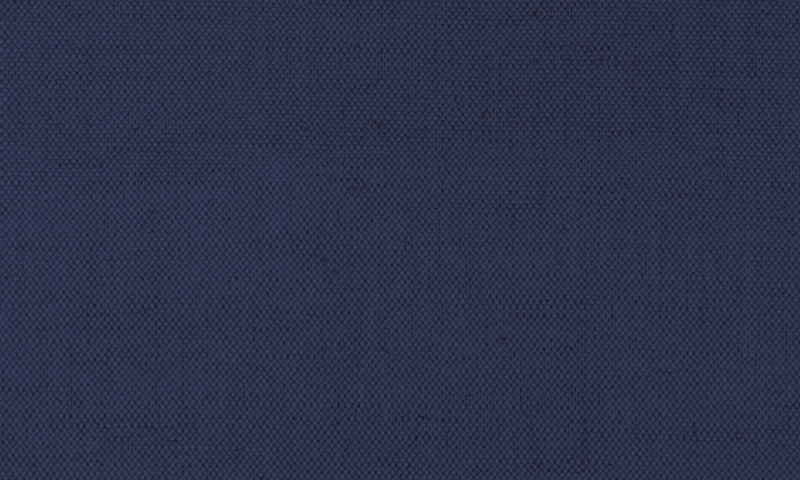 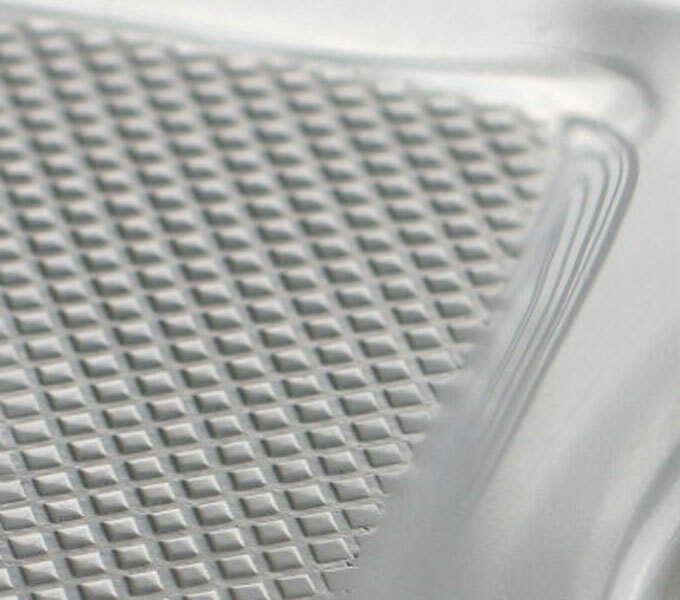 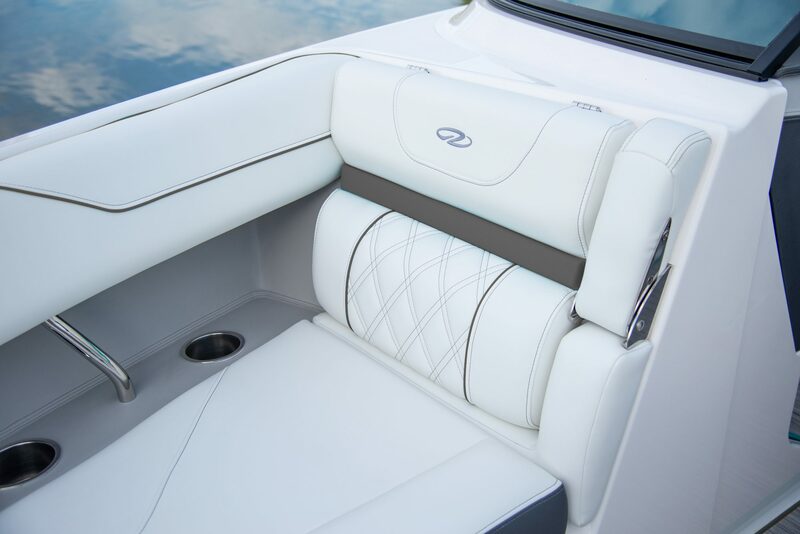 Sleek, smooth, and sophisticated design paired with un-compromised capability and function. 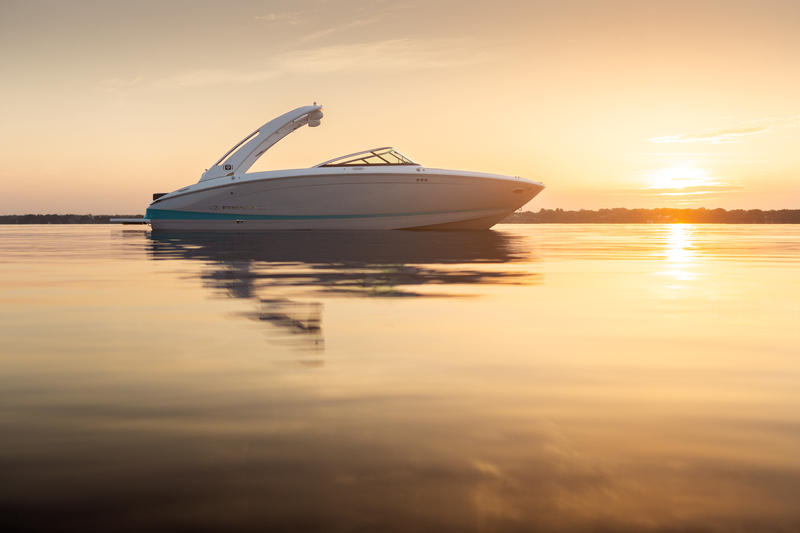 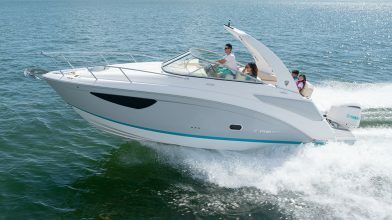 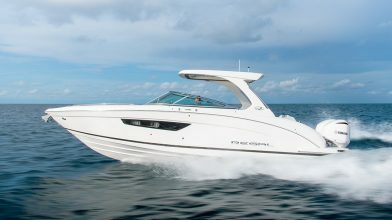 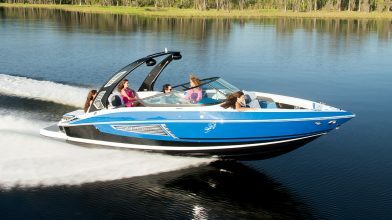 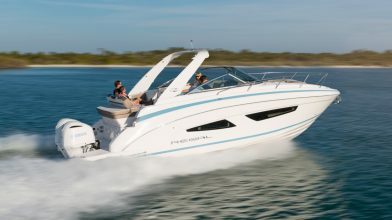 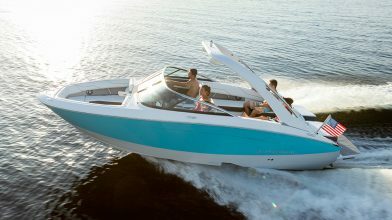 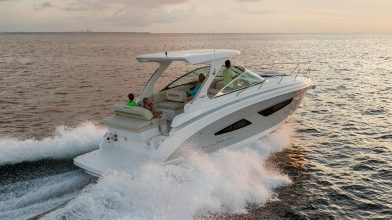 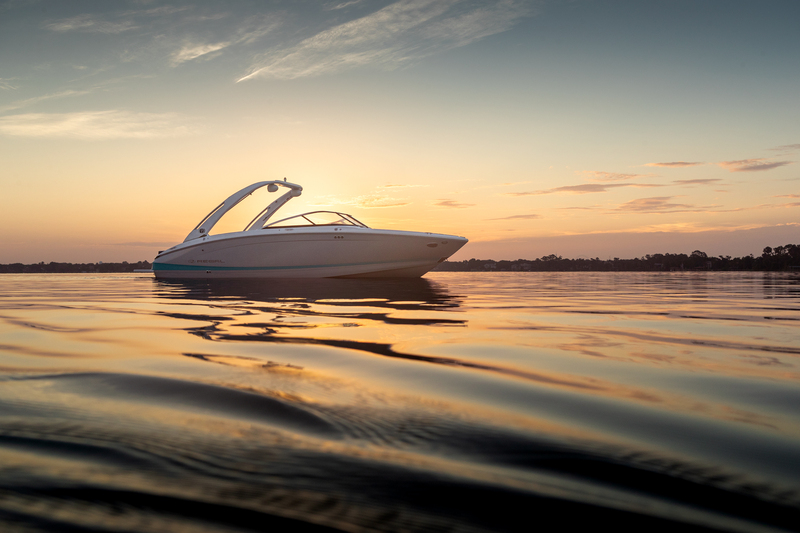 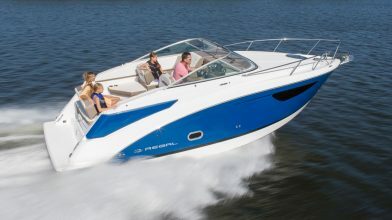 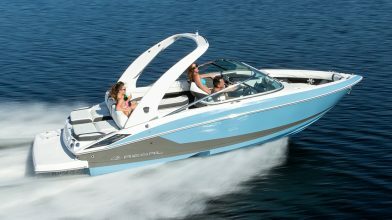 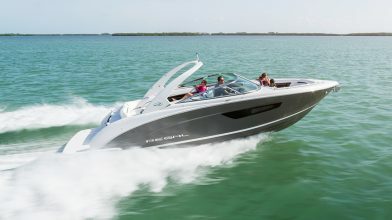 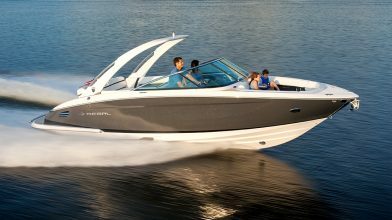 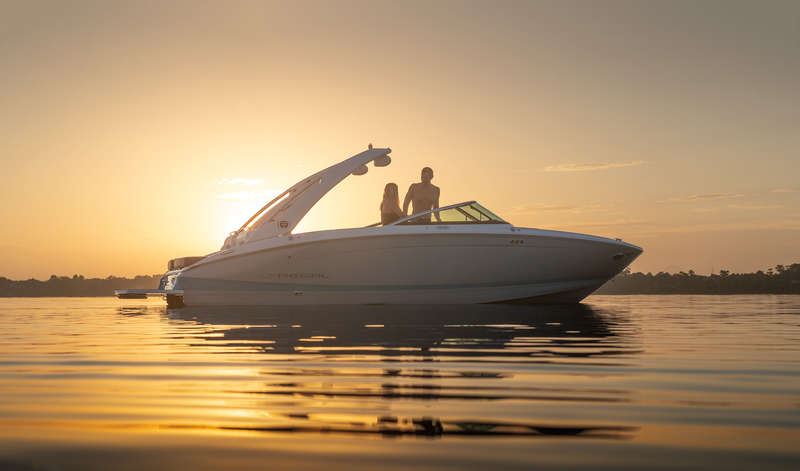 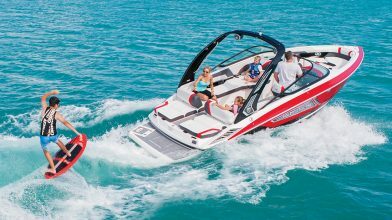 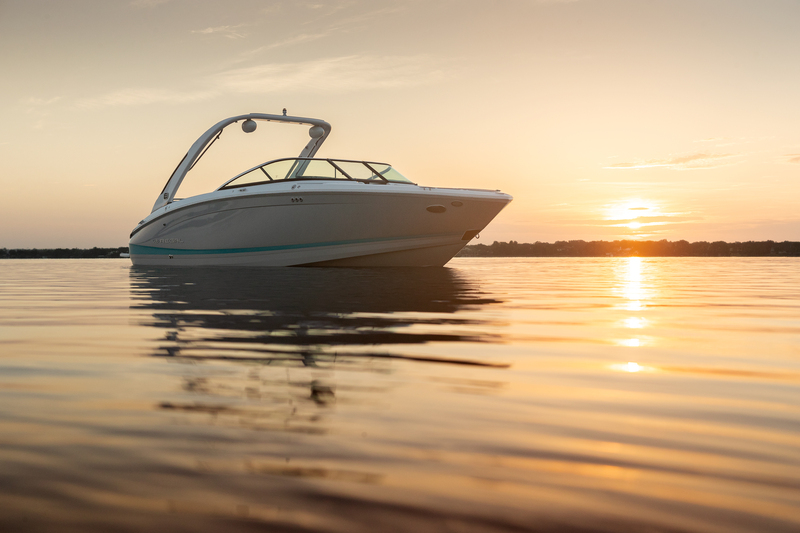 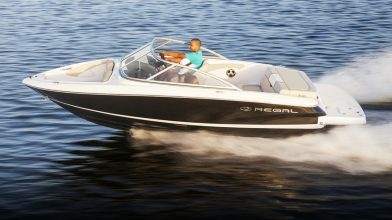 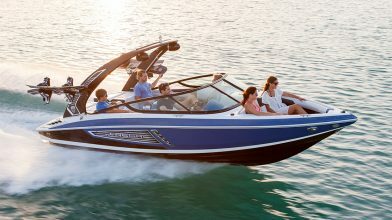 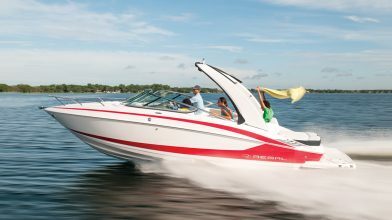 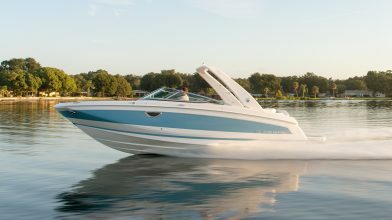 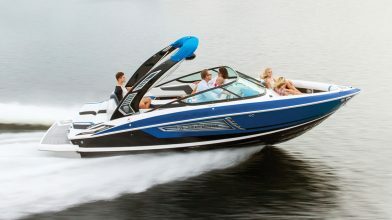 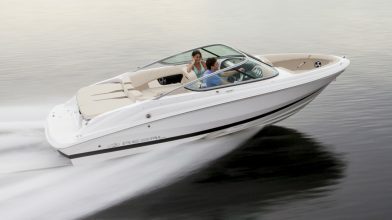 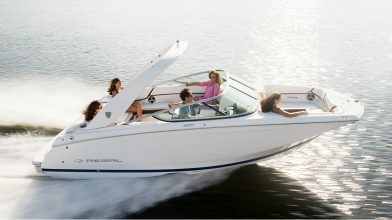 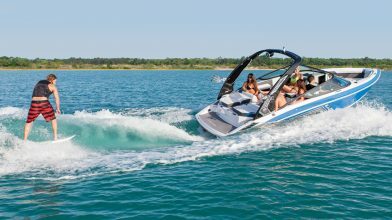 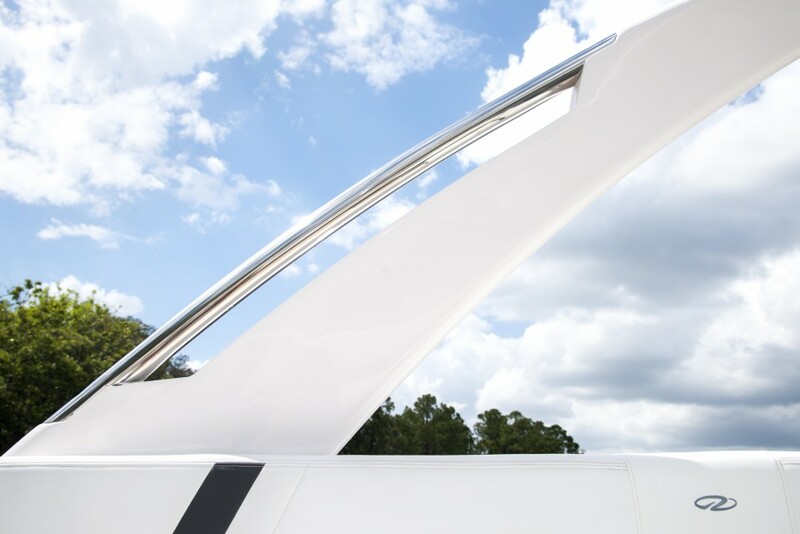 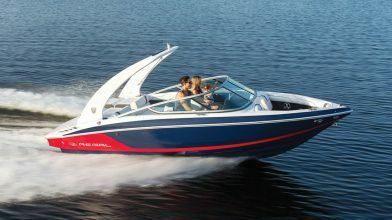 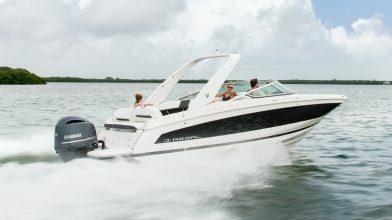 Sculpted body lines deliver a stunning presence on the water. 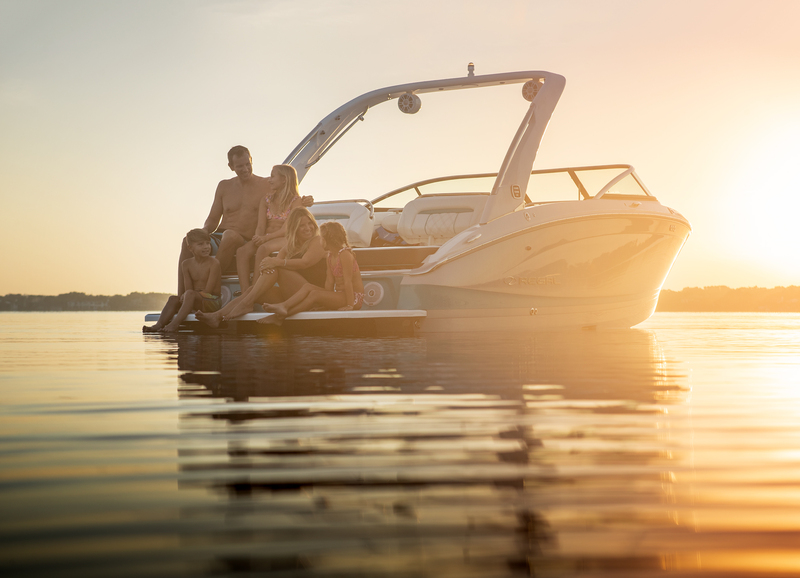 Let the water be what brings you together. 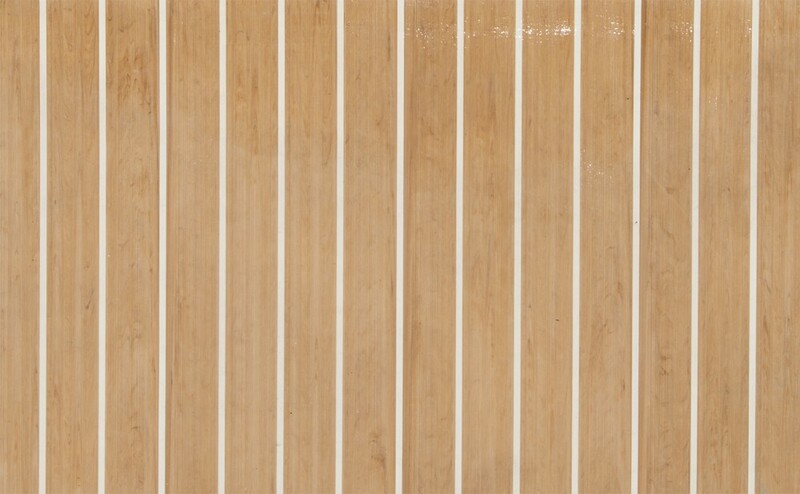 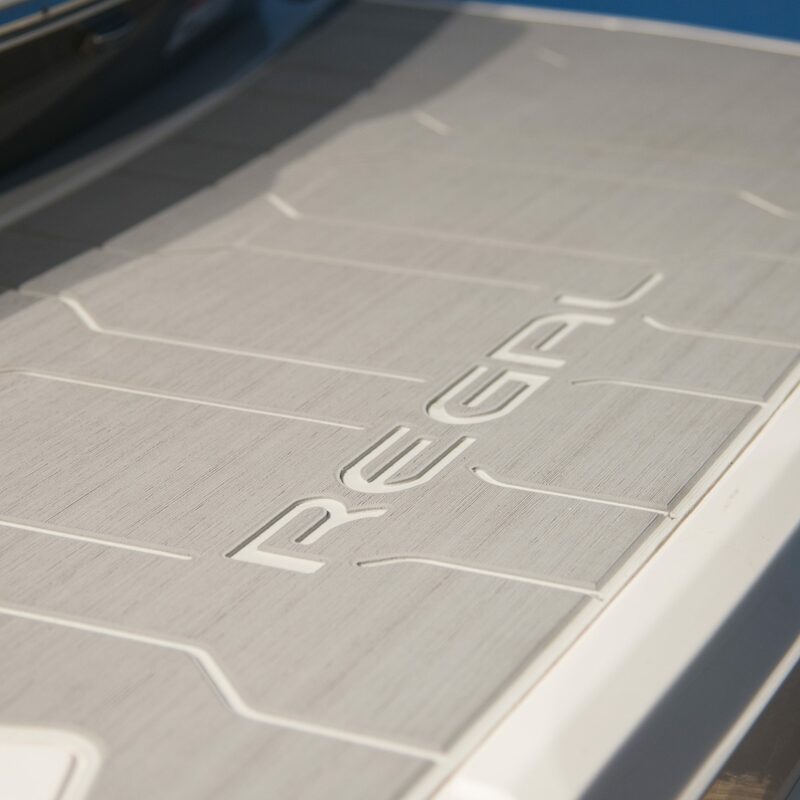 The Regal LS6 boasts unmatched craftsmanship in the details and unrivaled comfort to match. 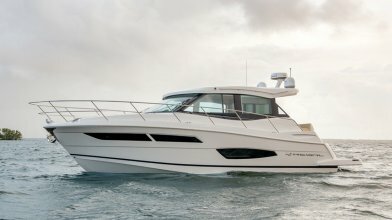 The cockpit of the LS6 has been completely reimagined and redesigned to provide a six inch wider interior beam, 15% more seating space, 17% more storage when compared to similar sized models and a head that rivals our 2800. 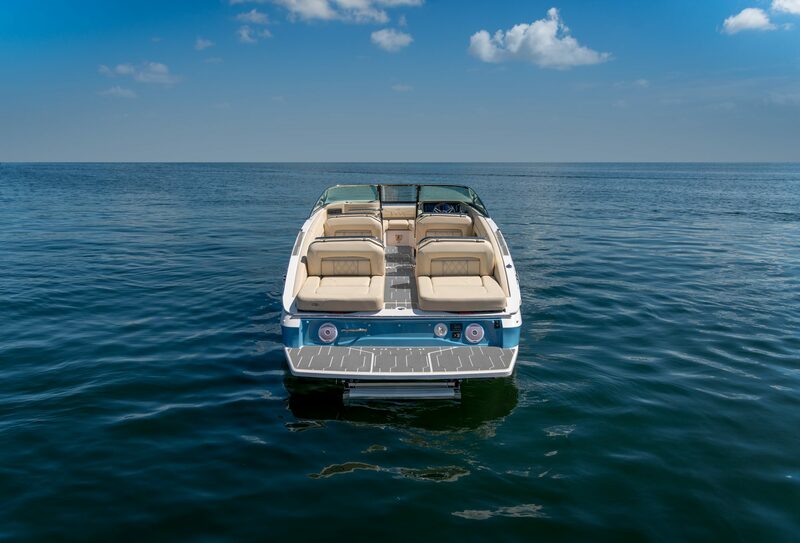 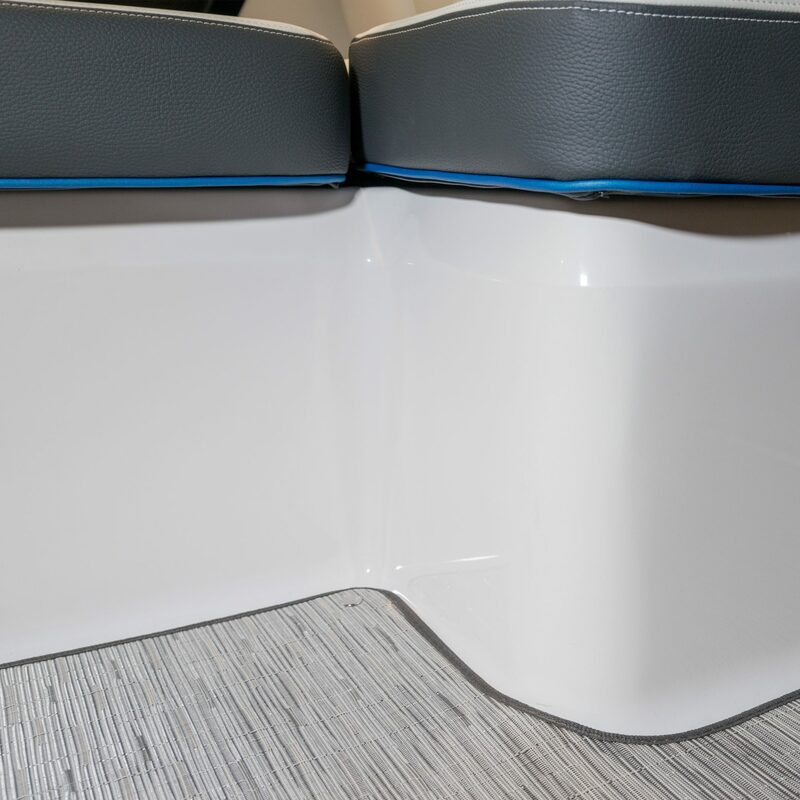 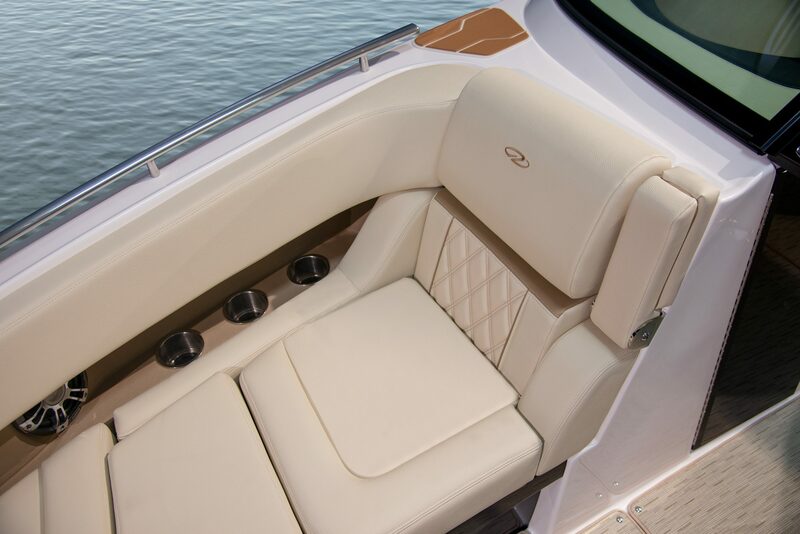 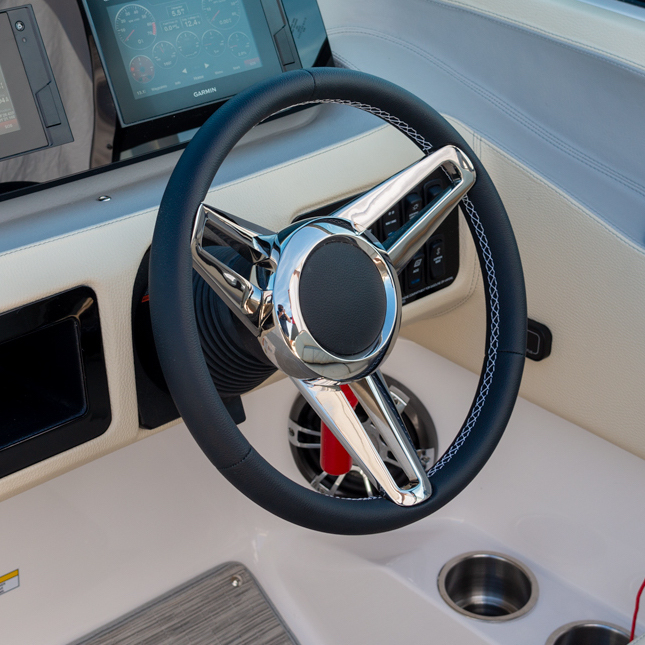 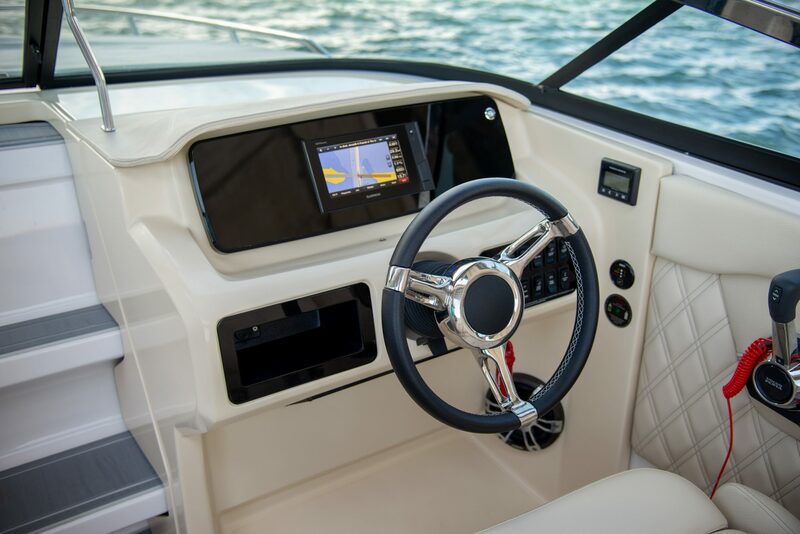 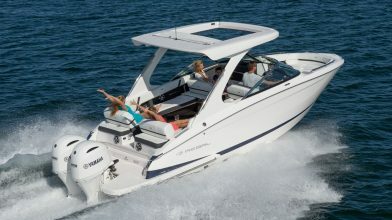 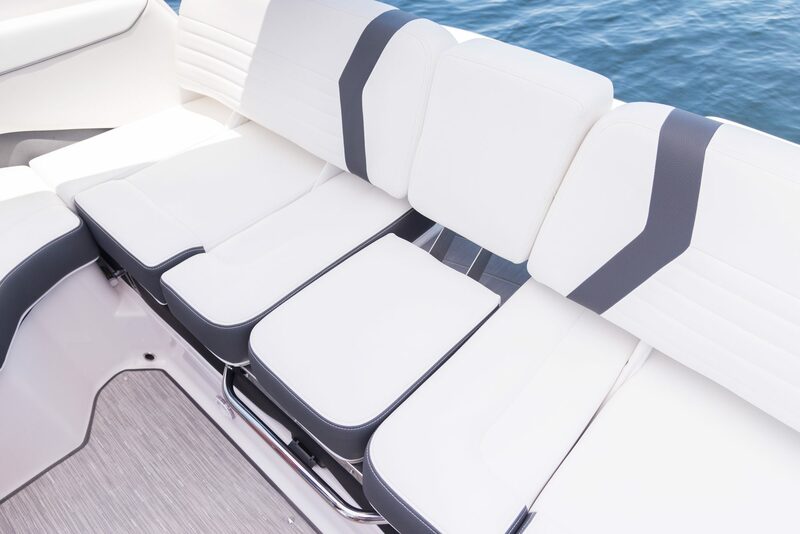 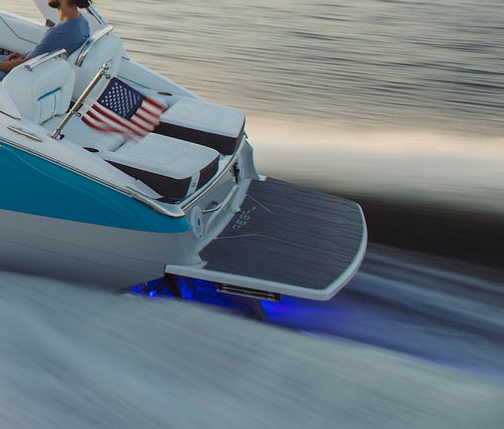 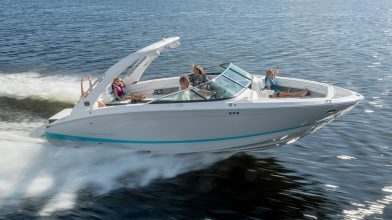 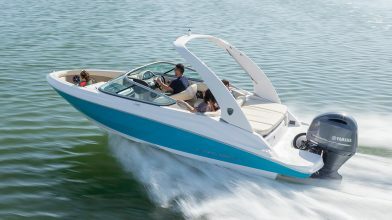 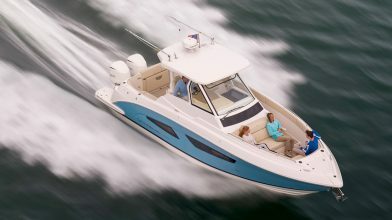 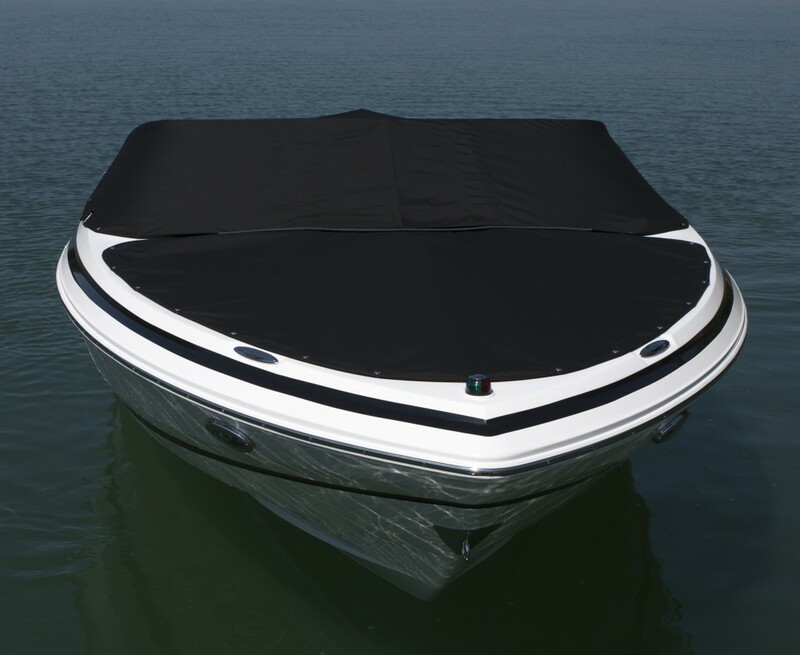 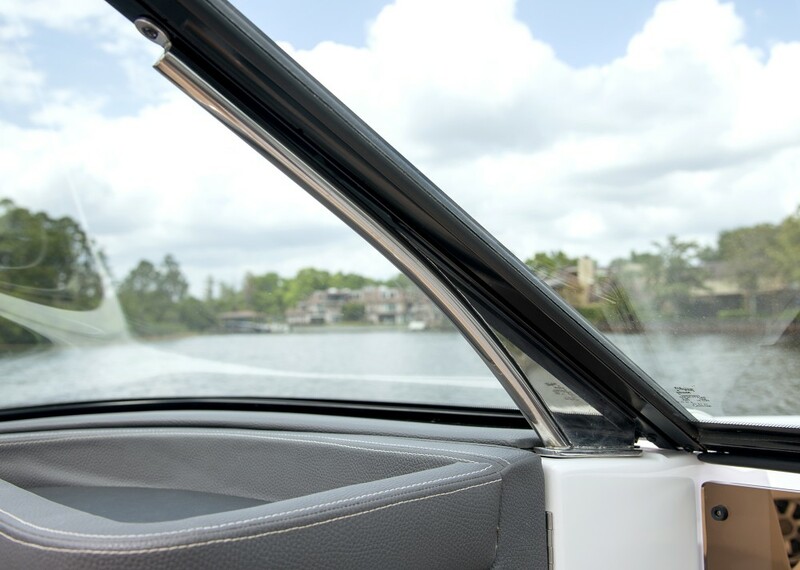 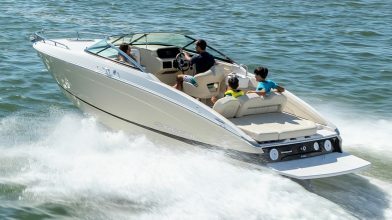 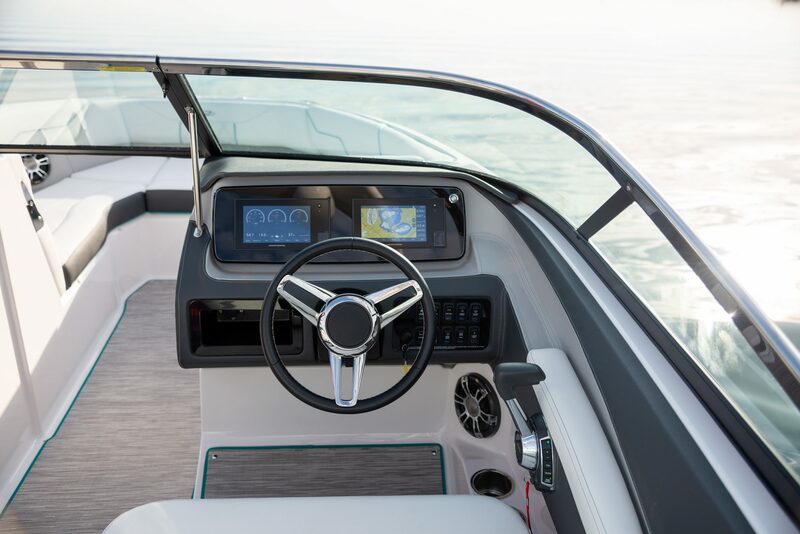 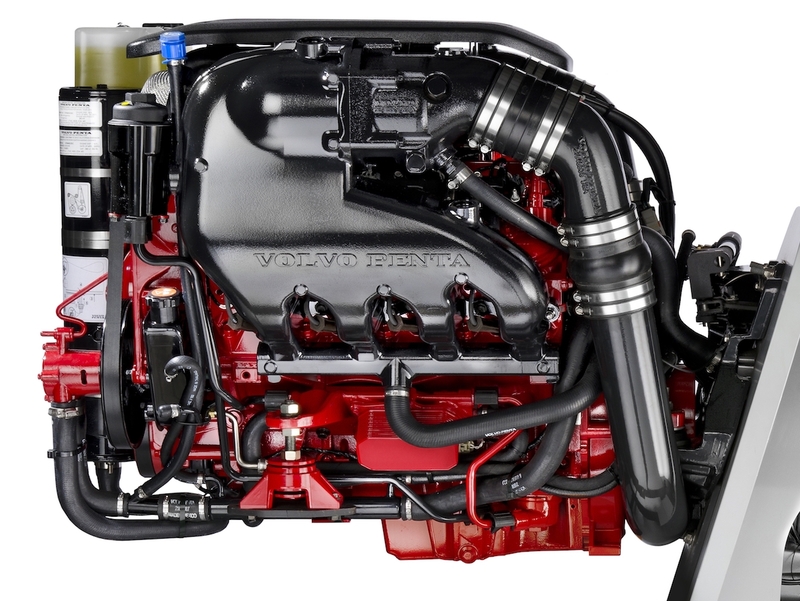 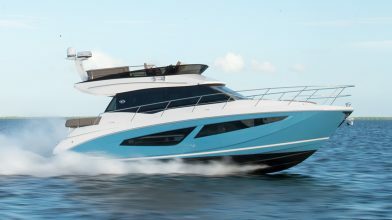 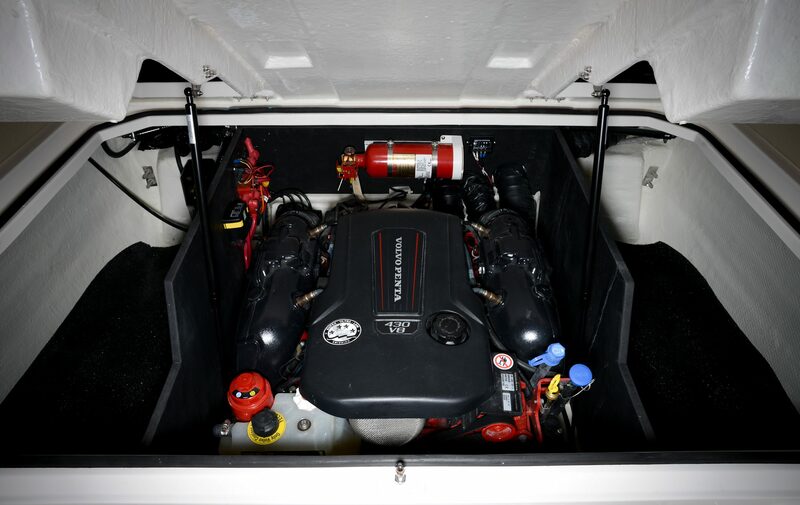 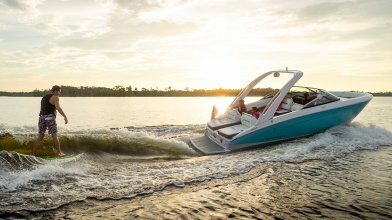 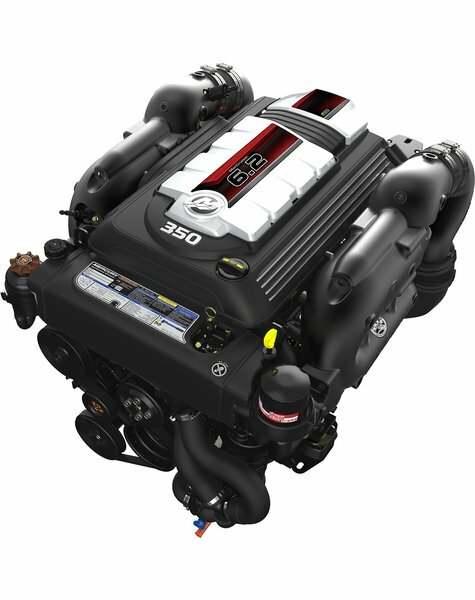 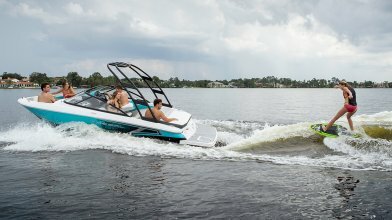 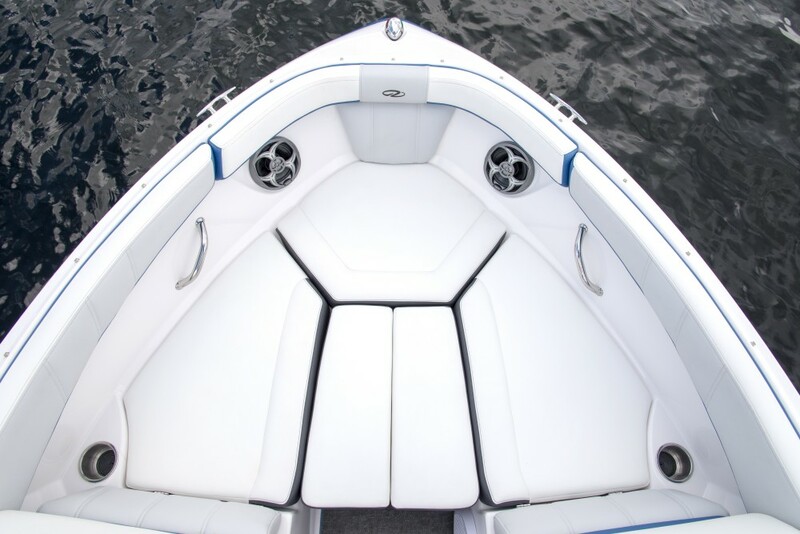 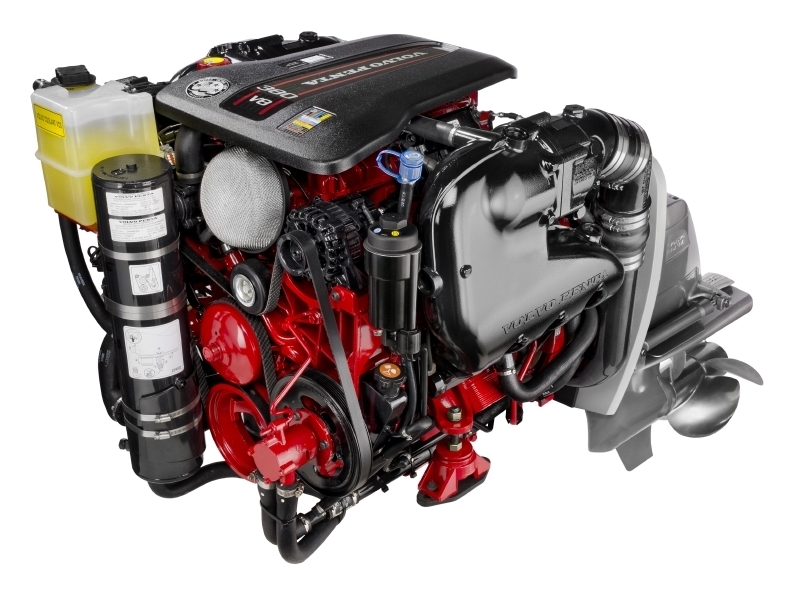 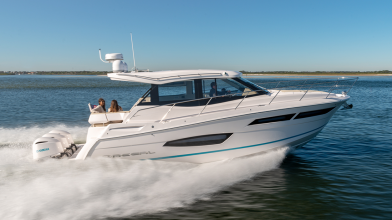 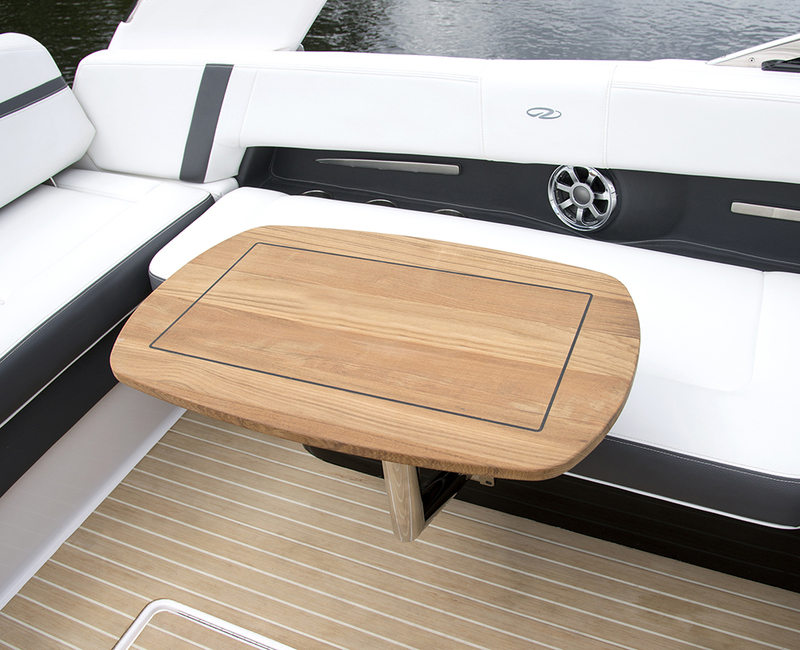 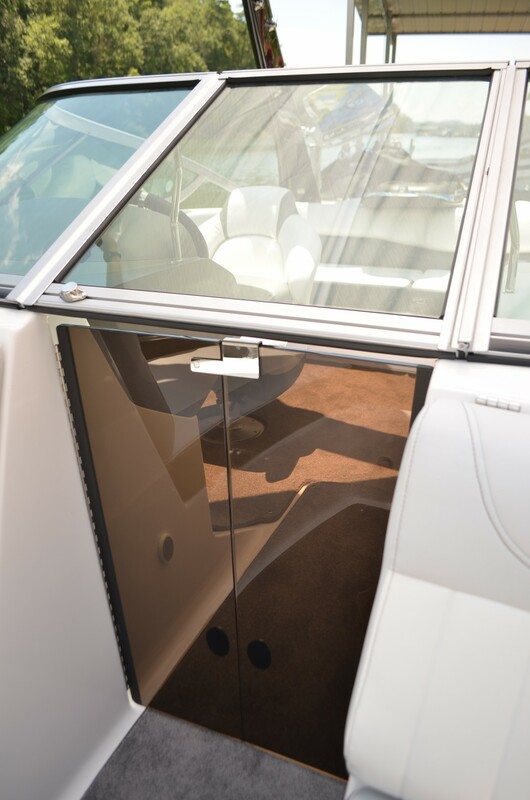 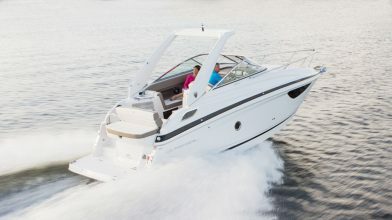 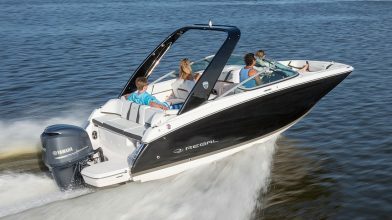 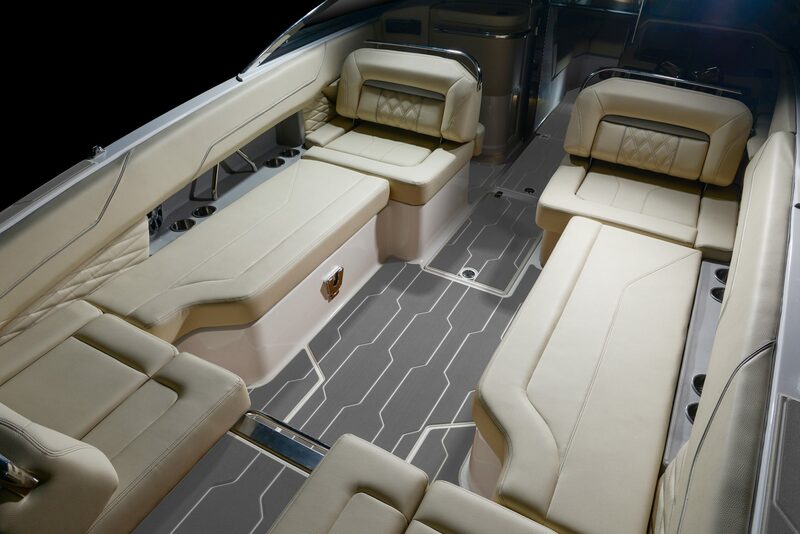 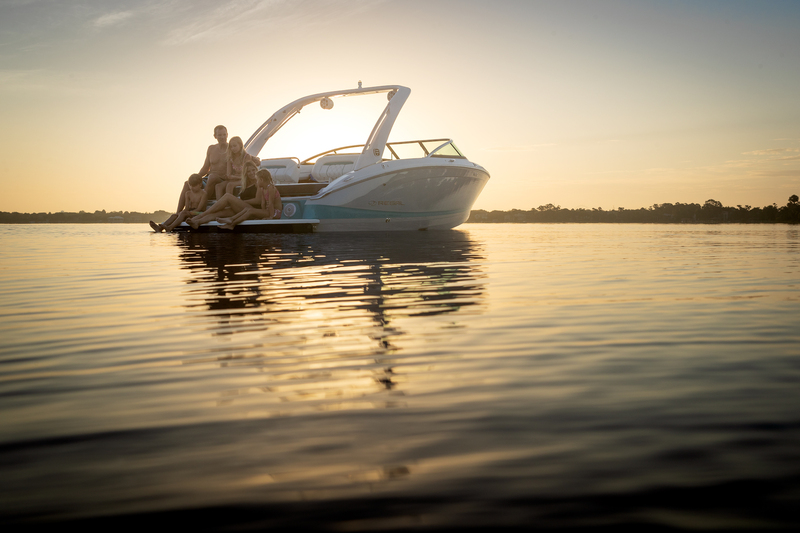 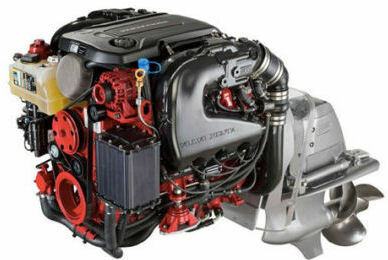 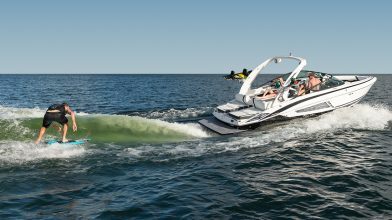 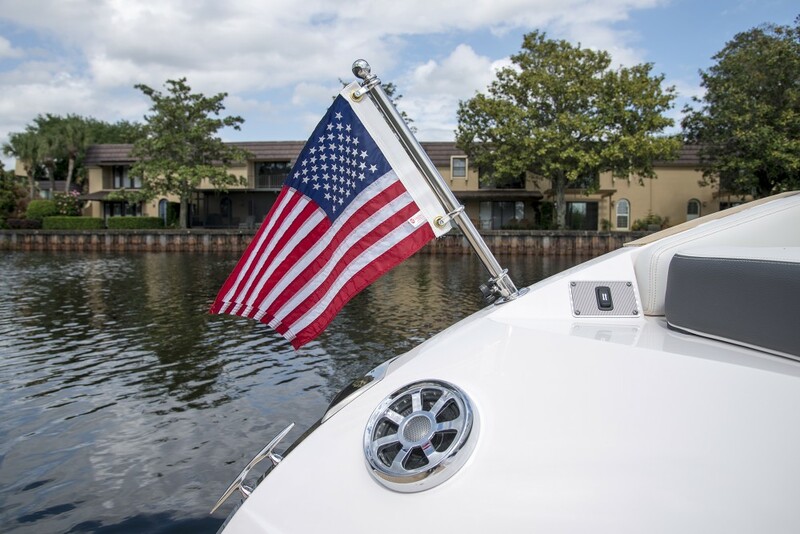 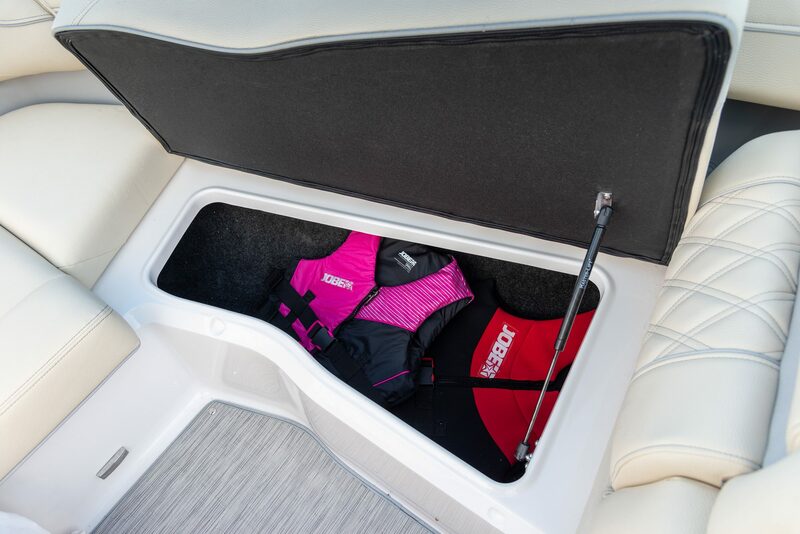 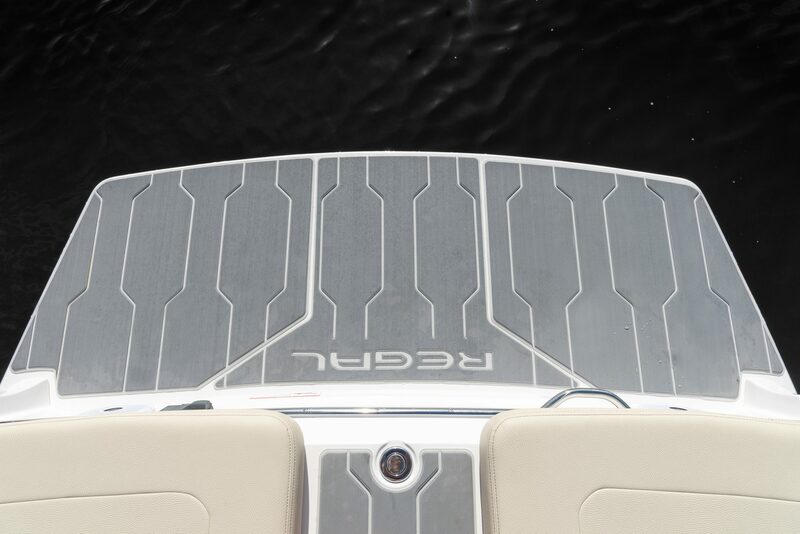 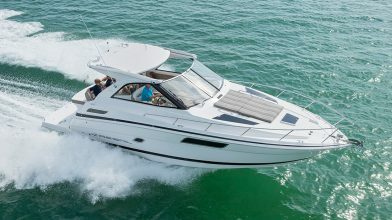 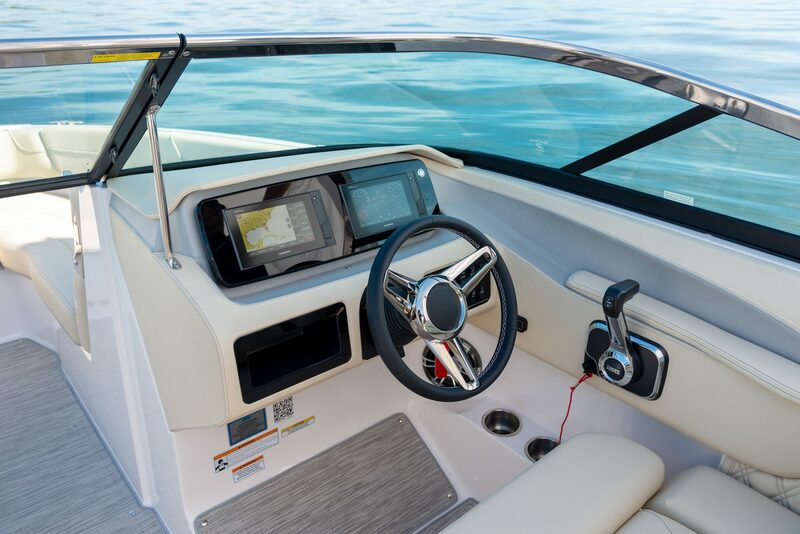 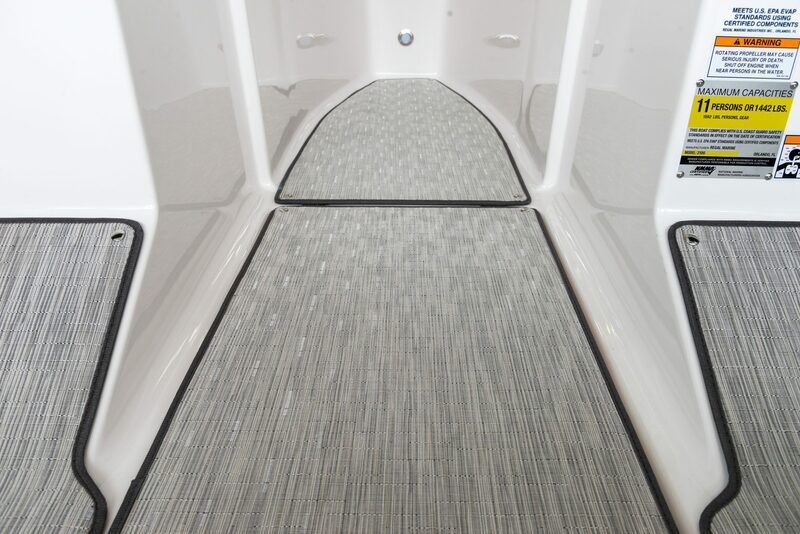 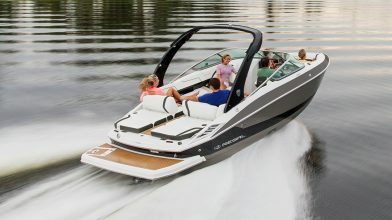 The LS6 features the most versatile transom in its class with not only dual multi-position UltraLounges and a low-to-the-water swim platform, but also two fold-away rumble seats. 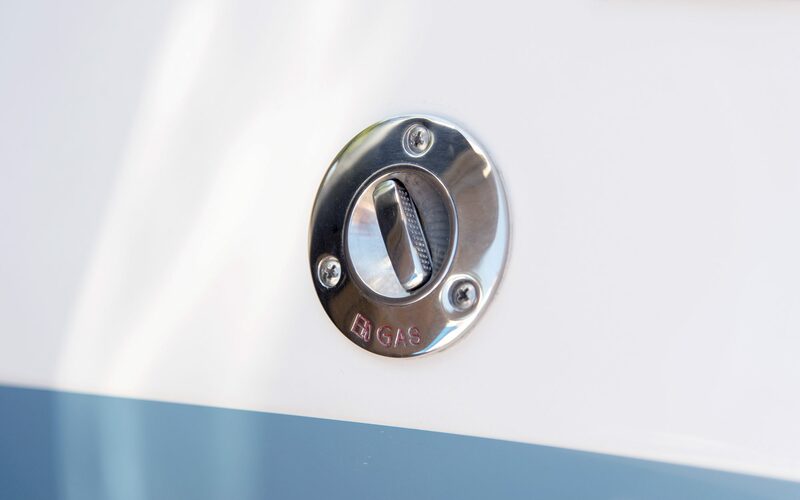 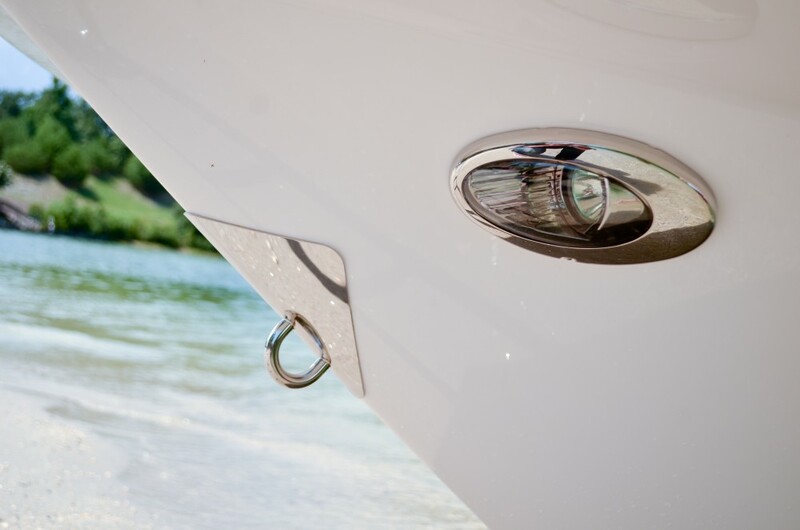 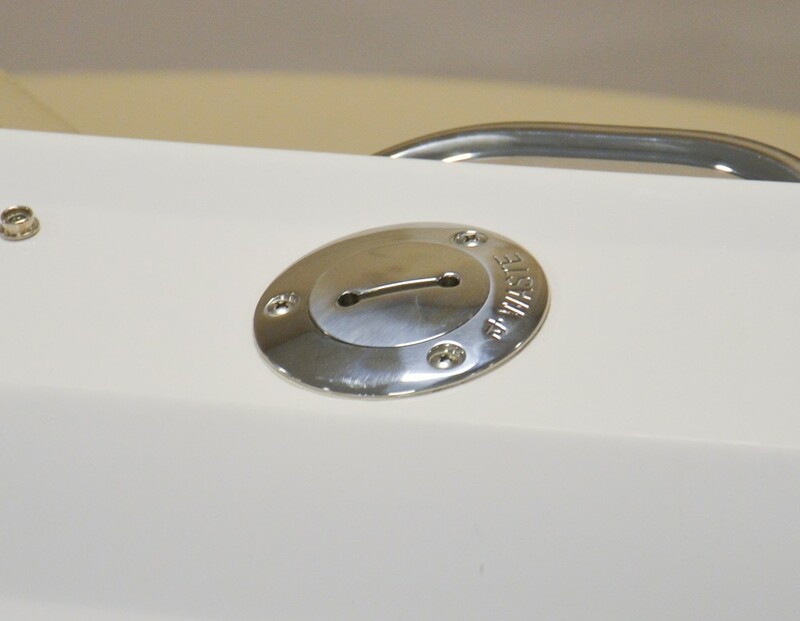 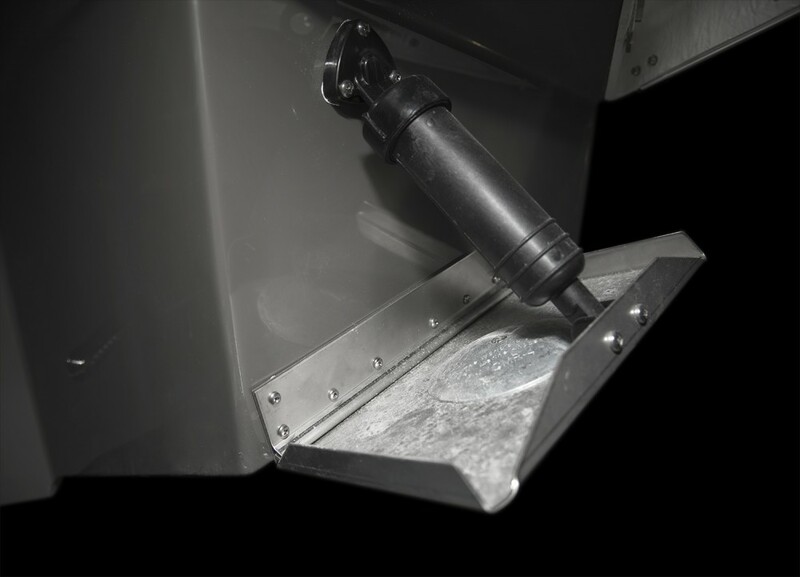 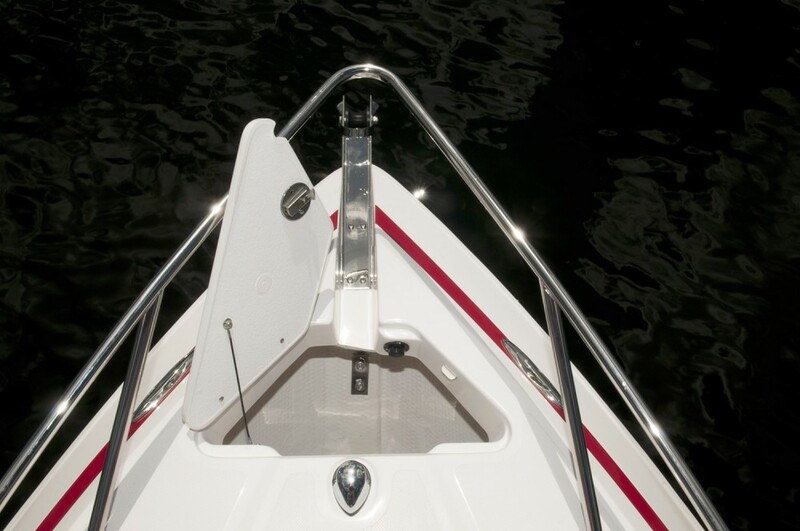 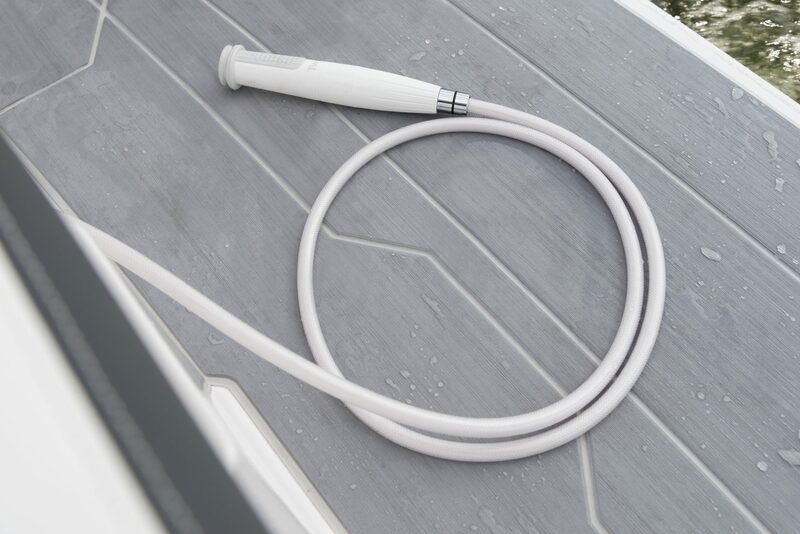 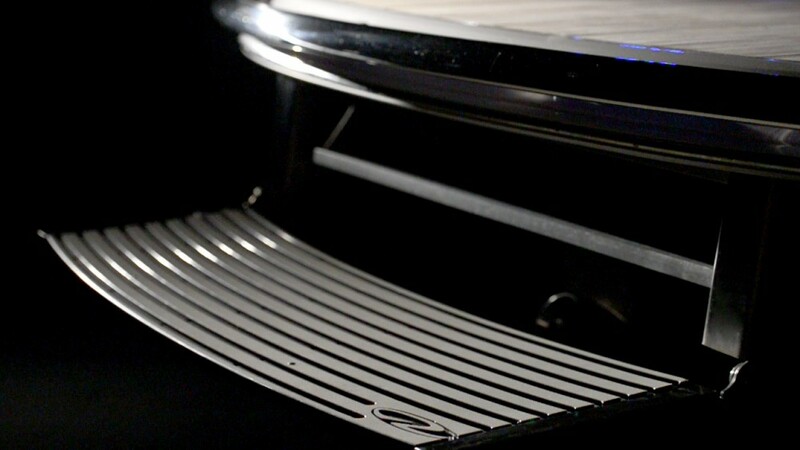 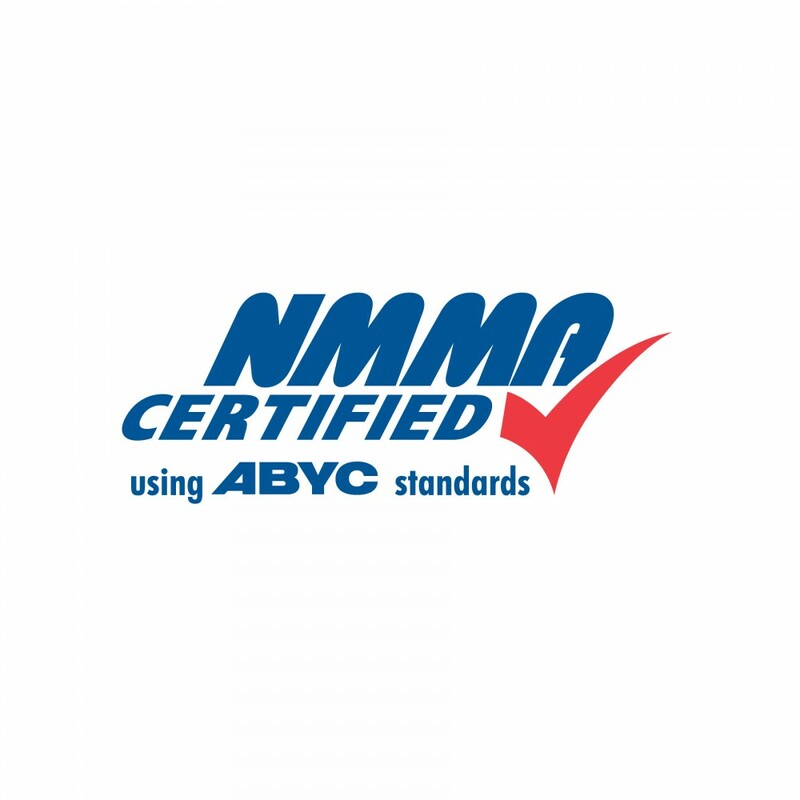 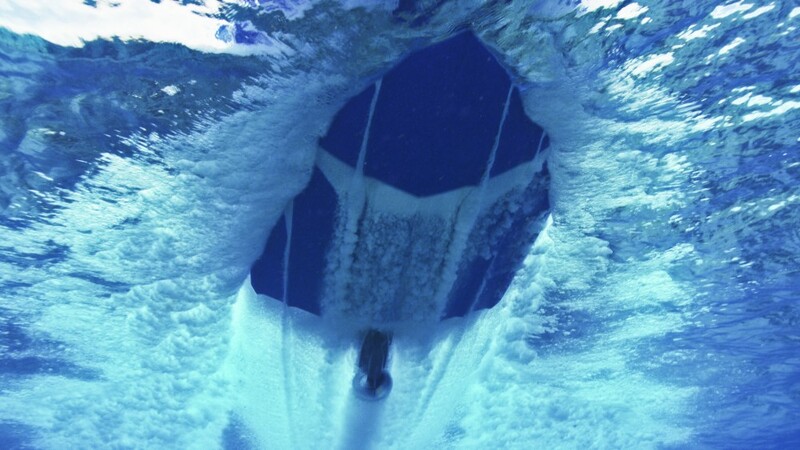 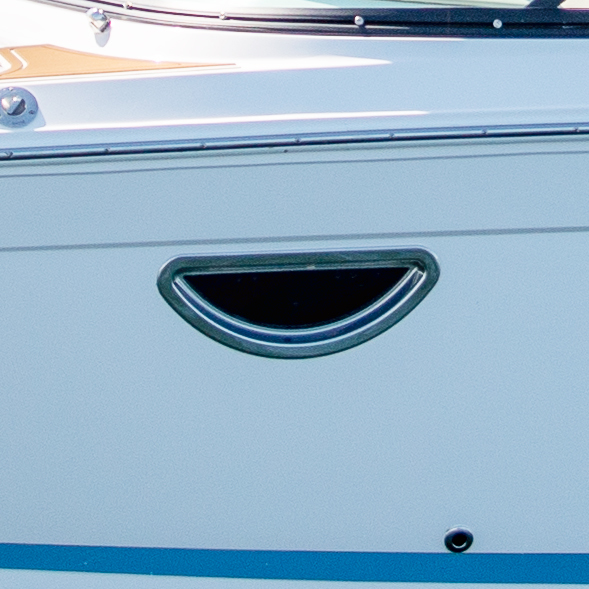 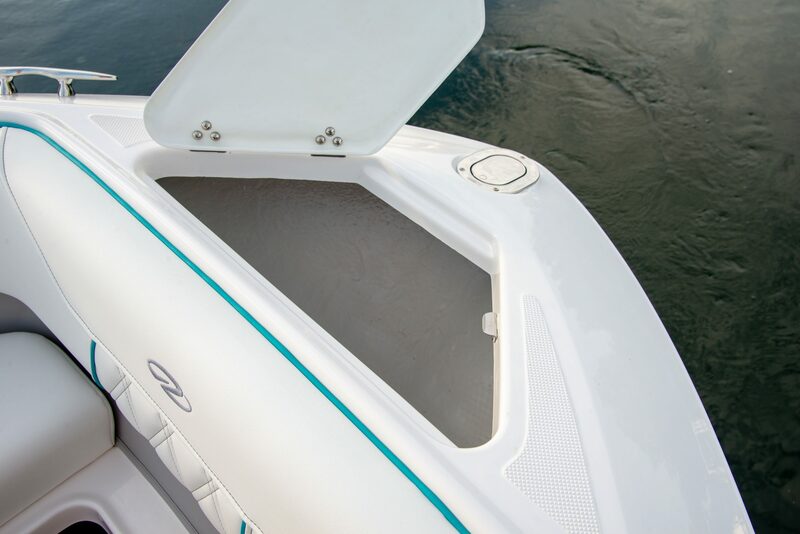 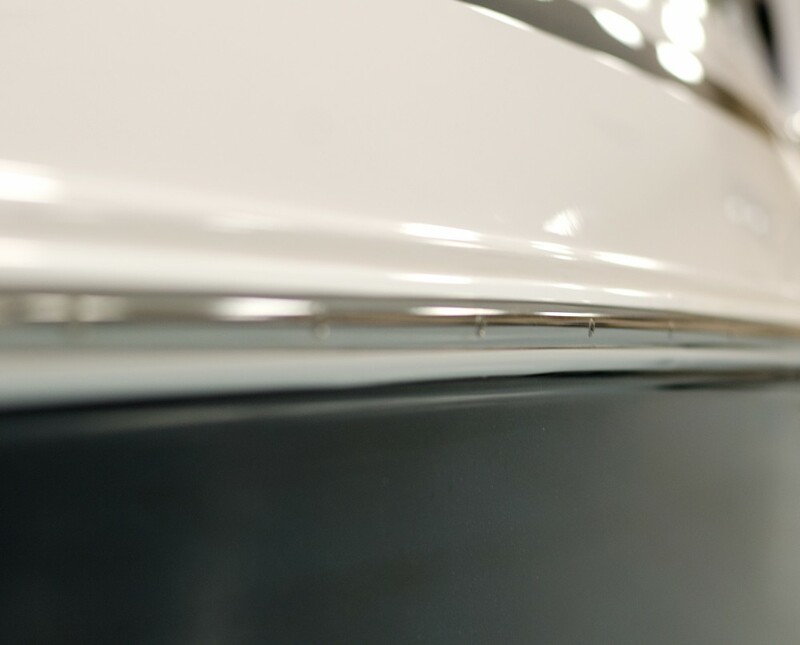 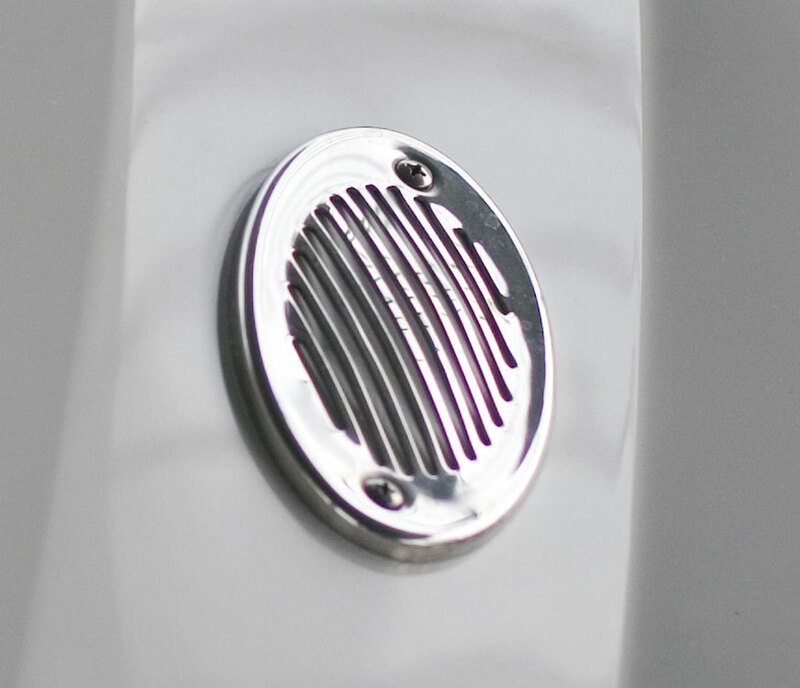 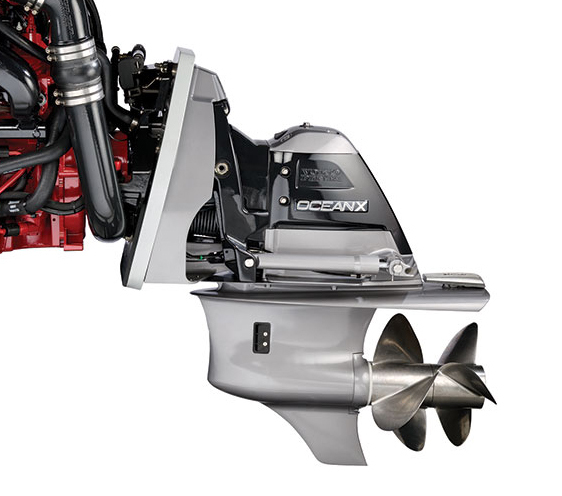 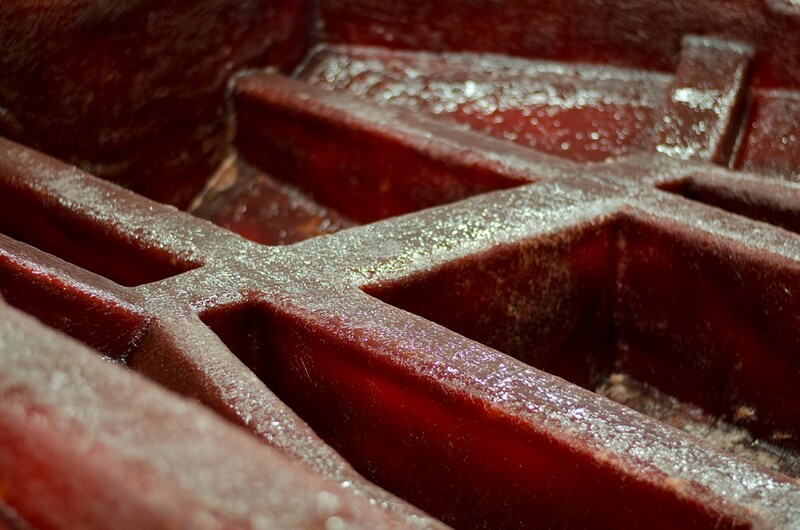 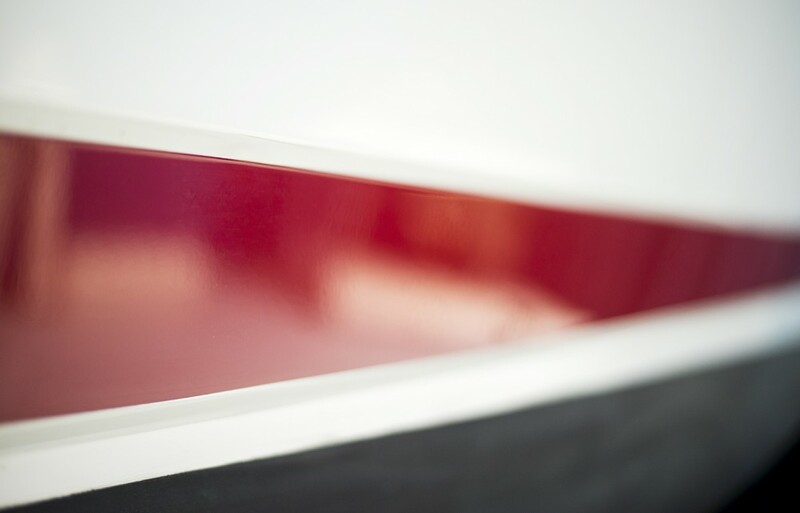 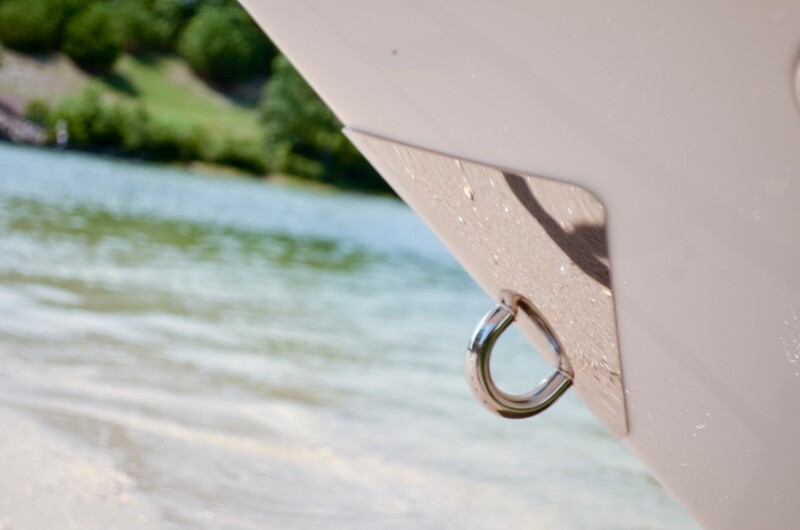 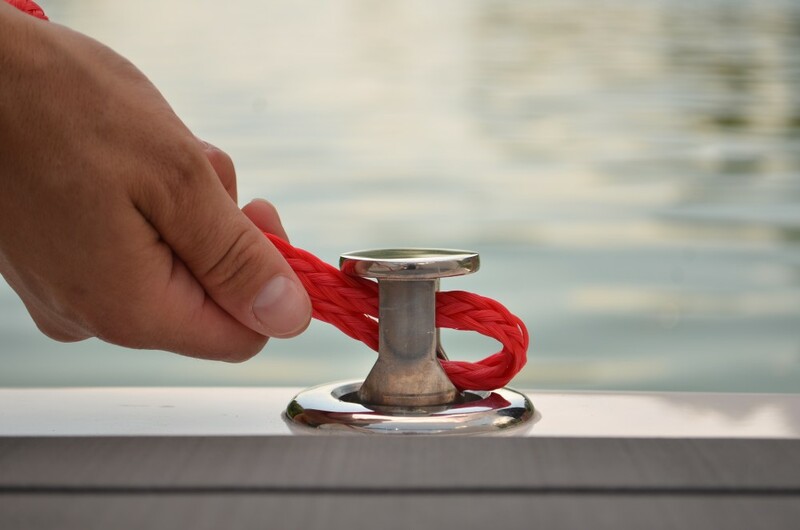 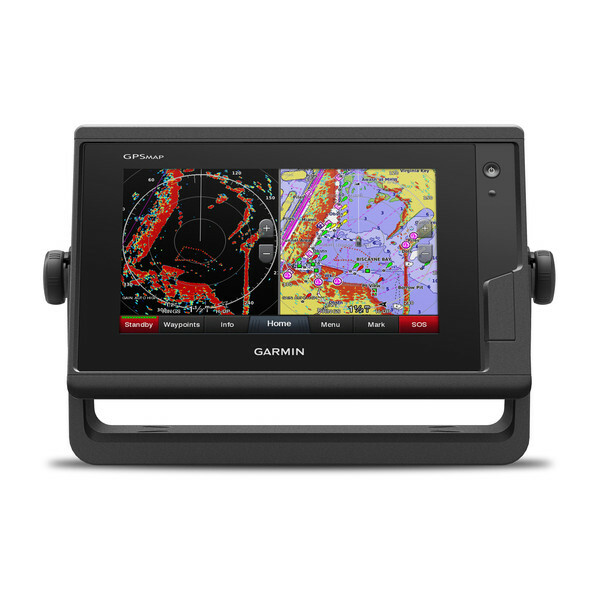 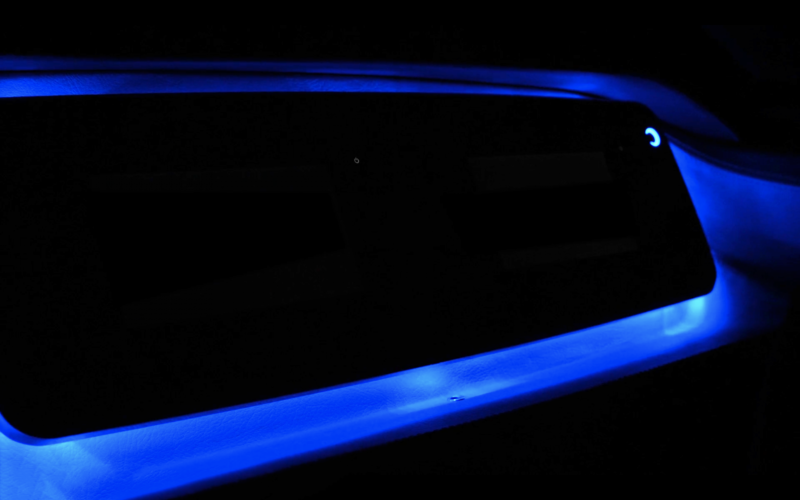 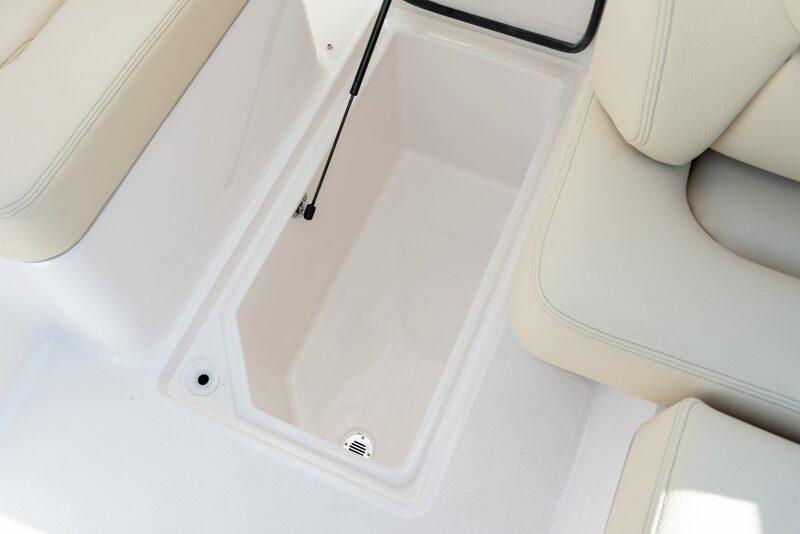 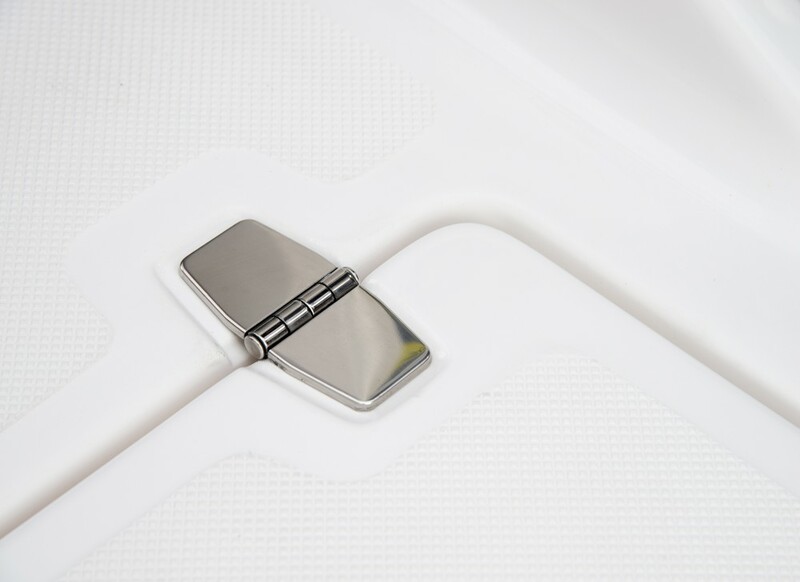 The trim tabs give you complete control over your boat even in the roughest of seas. 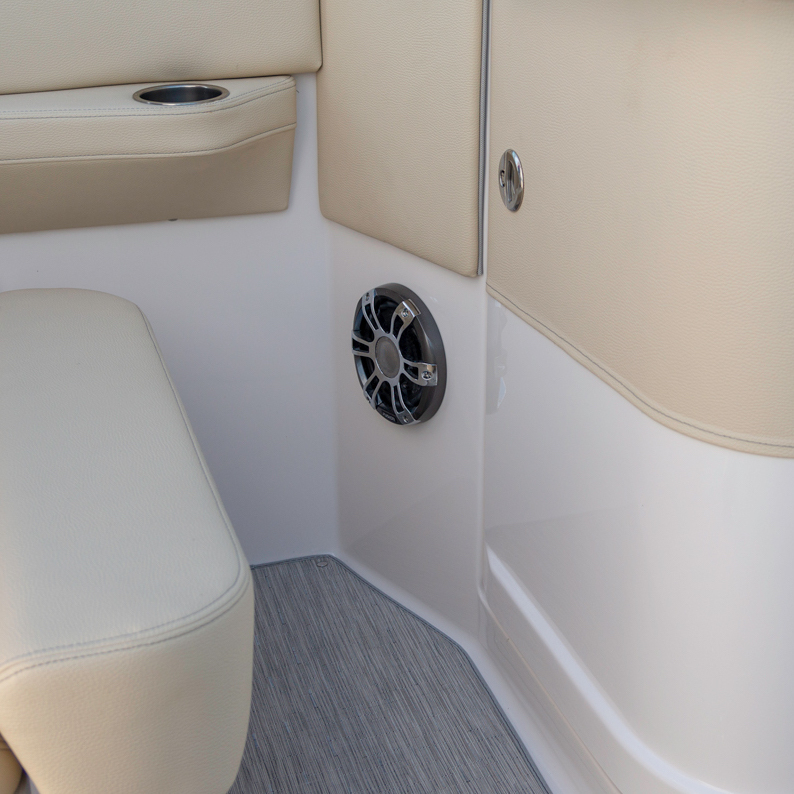 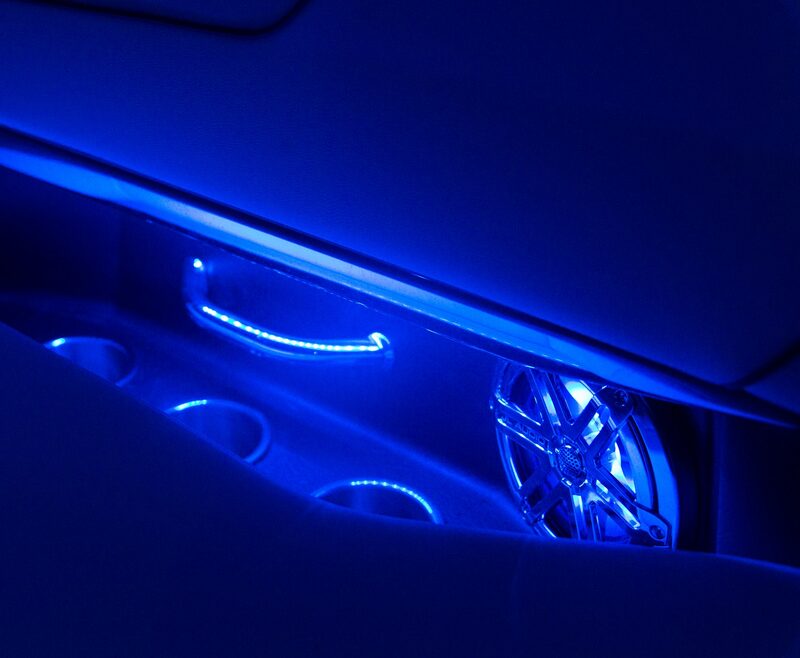 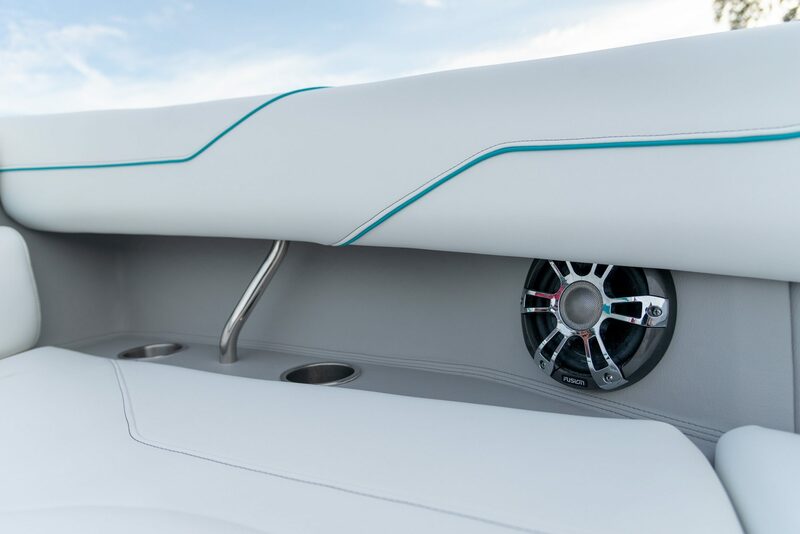 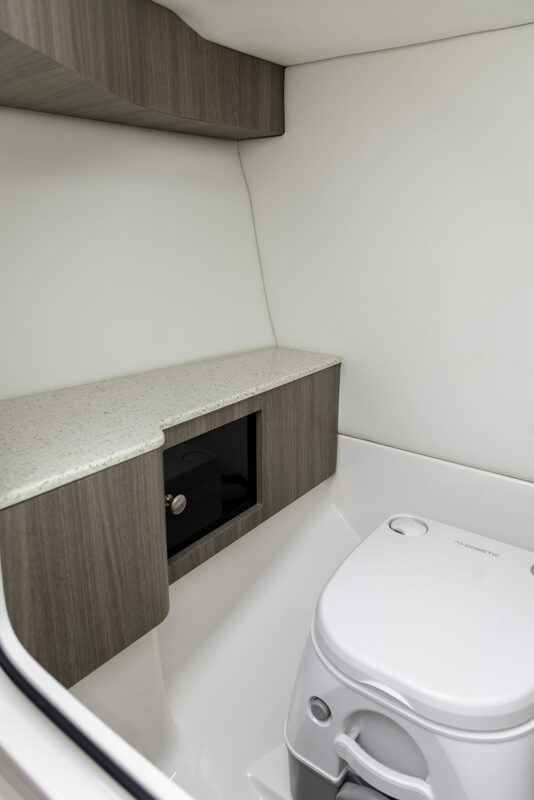 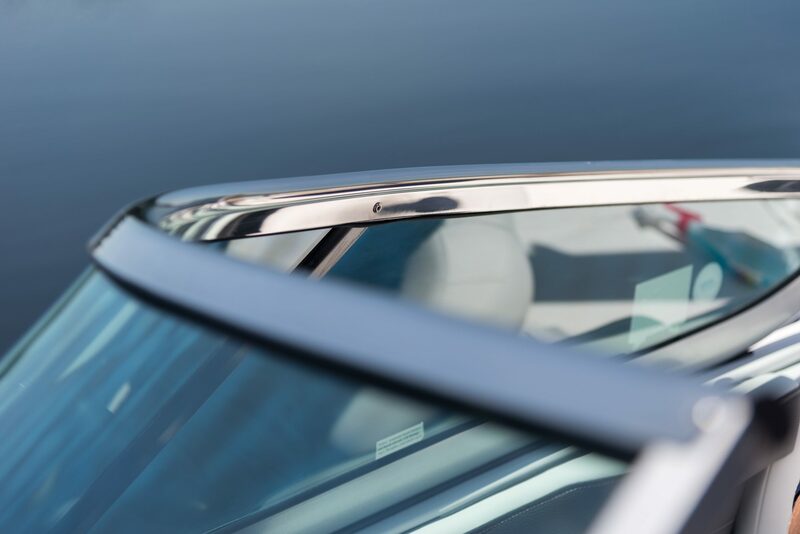 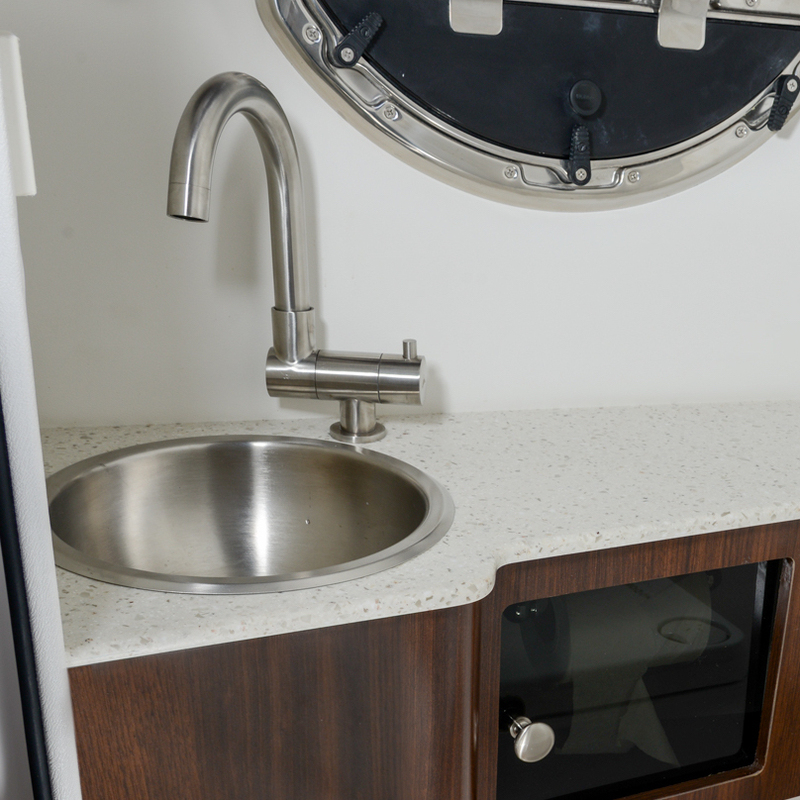 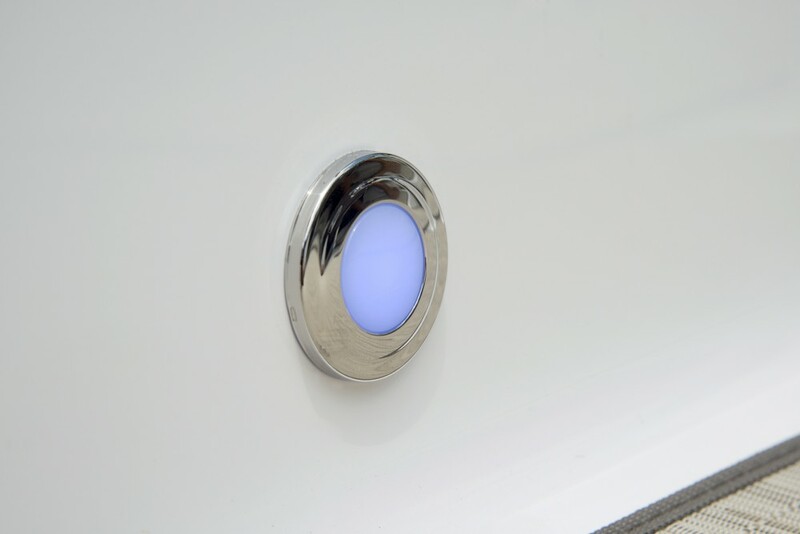 The stylish porthole allows natural light and fresh breeze into the head compartment. Make a bold statement on the water by opting for sport graphics. 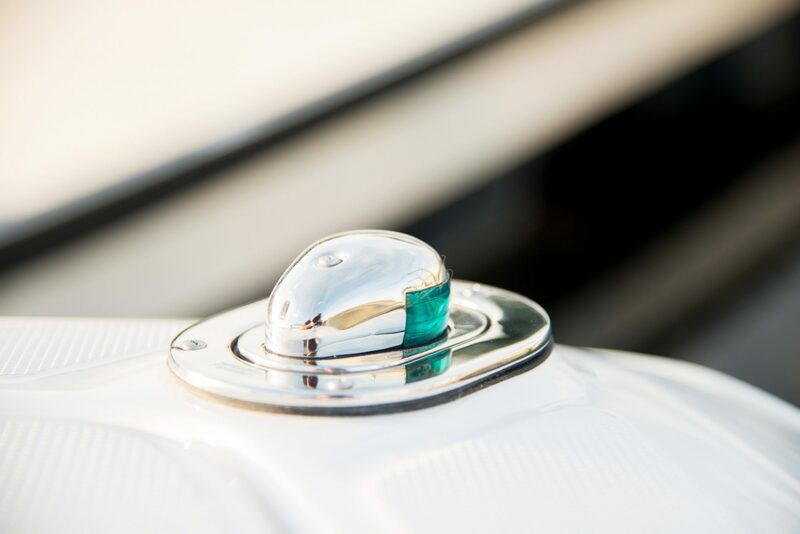 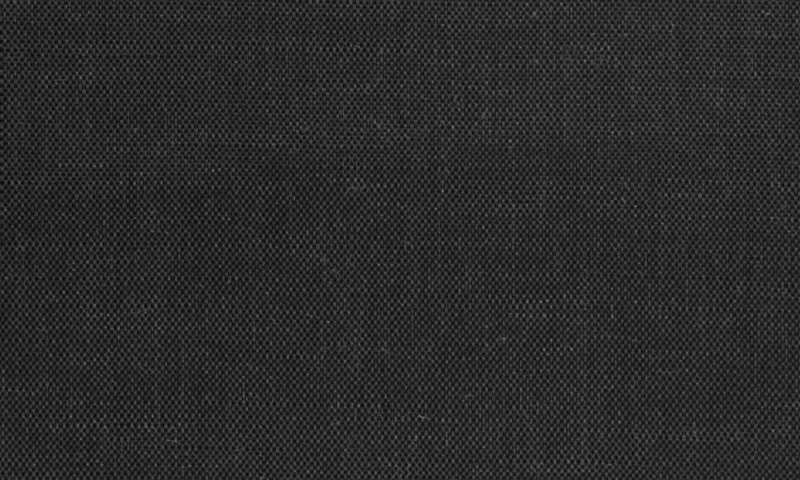 A classic and elegant touch to the well-appointed head. 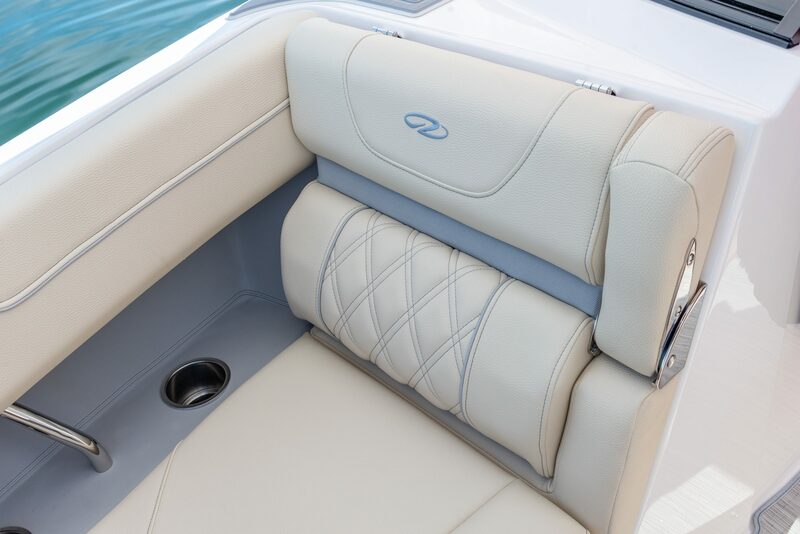 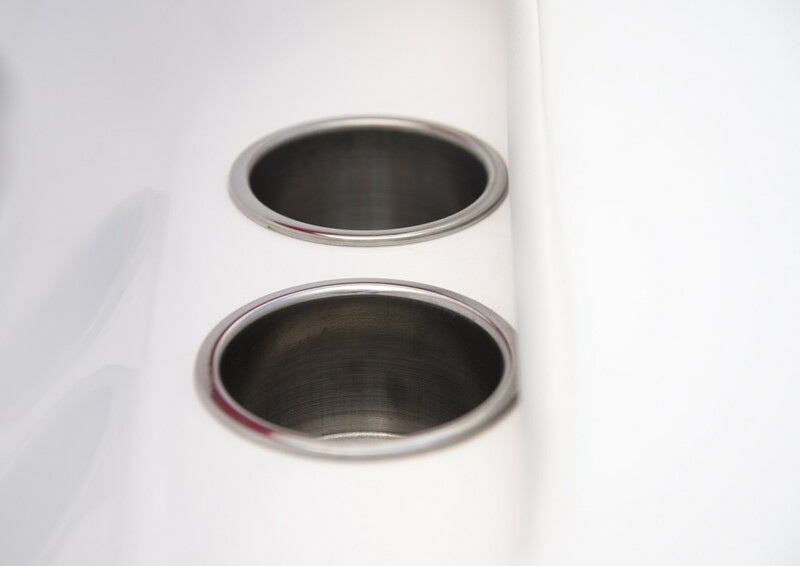 Under the cockpit seating, find a designated storage compartment for keeping refreshments ice cold all day. 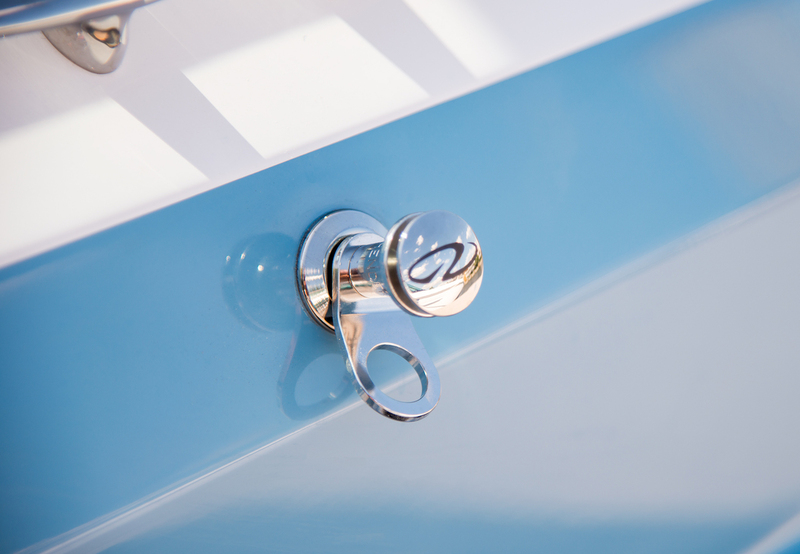 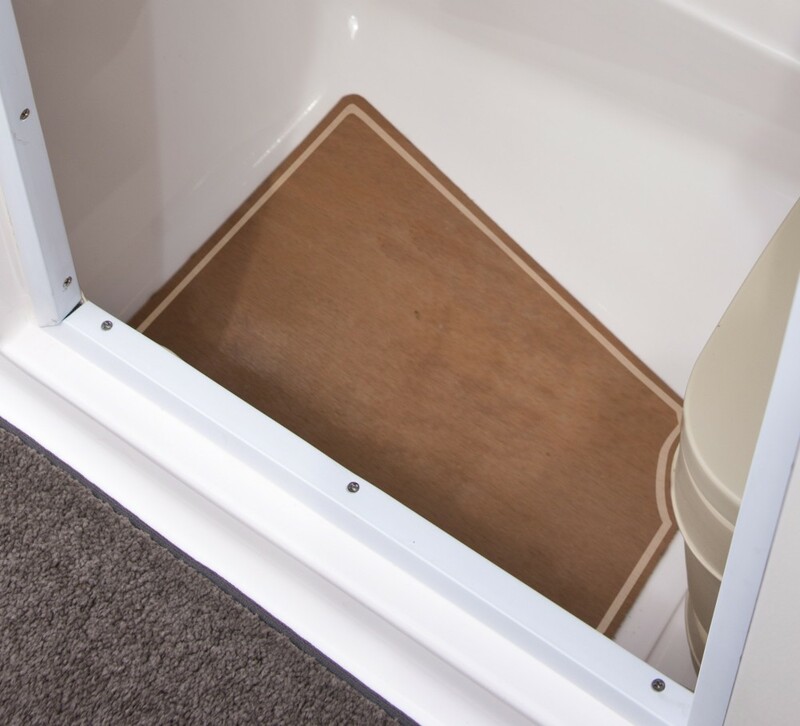 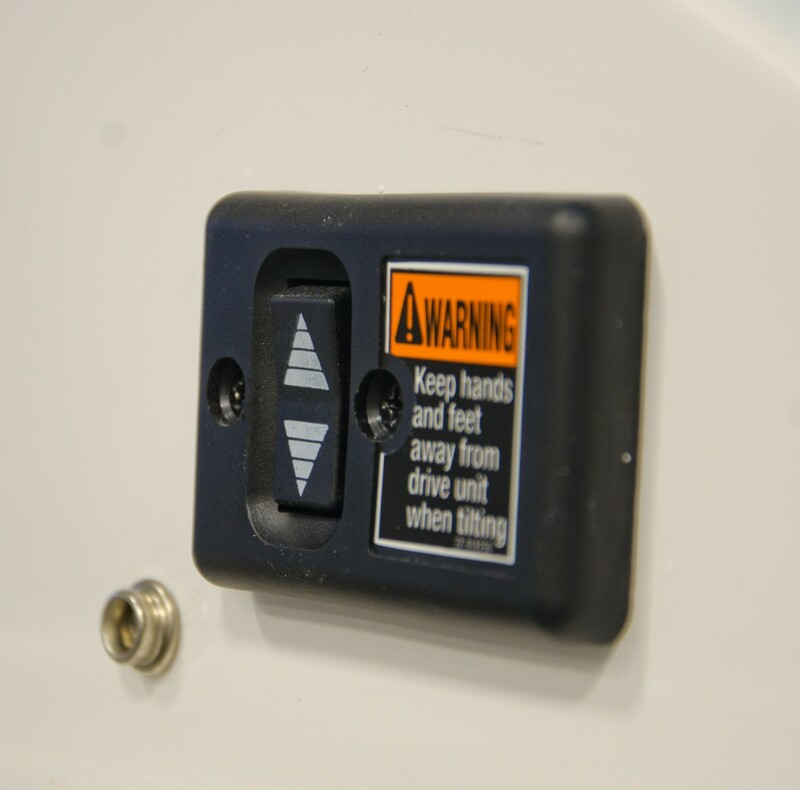 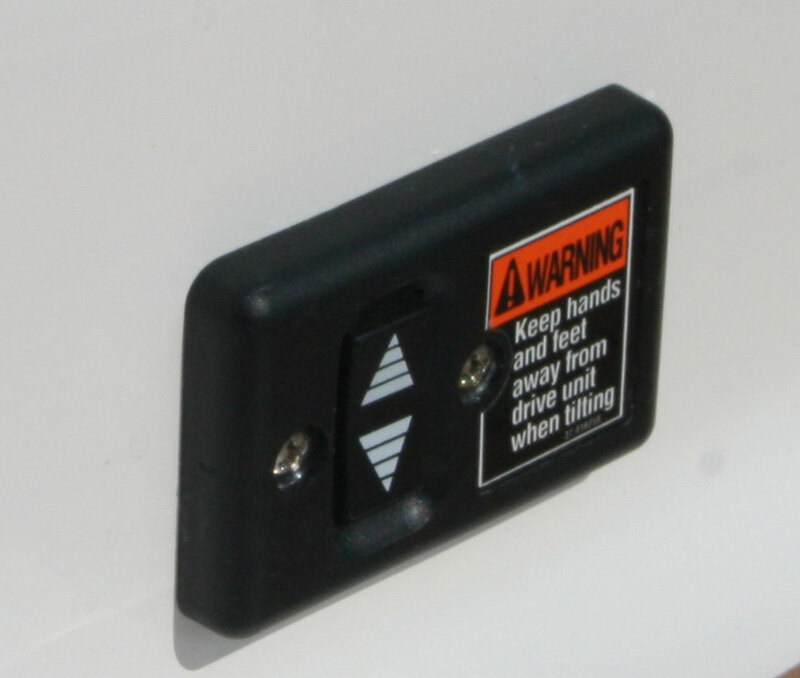 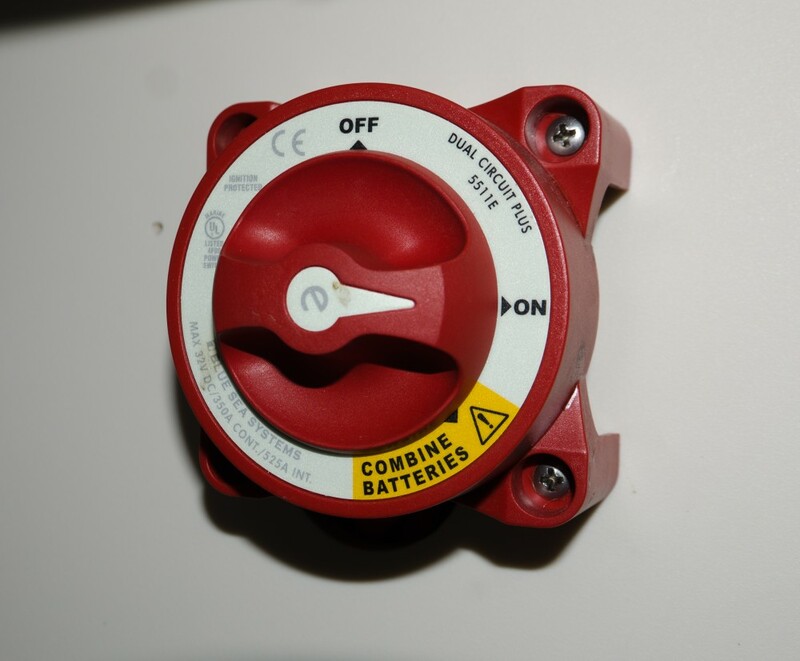 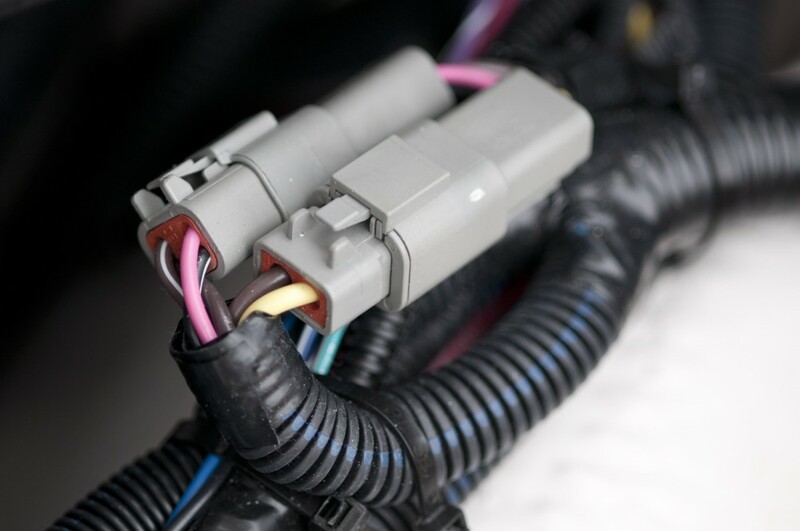 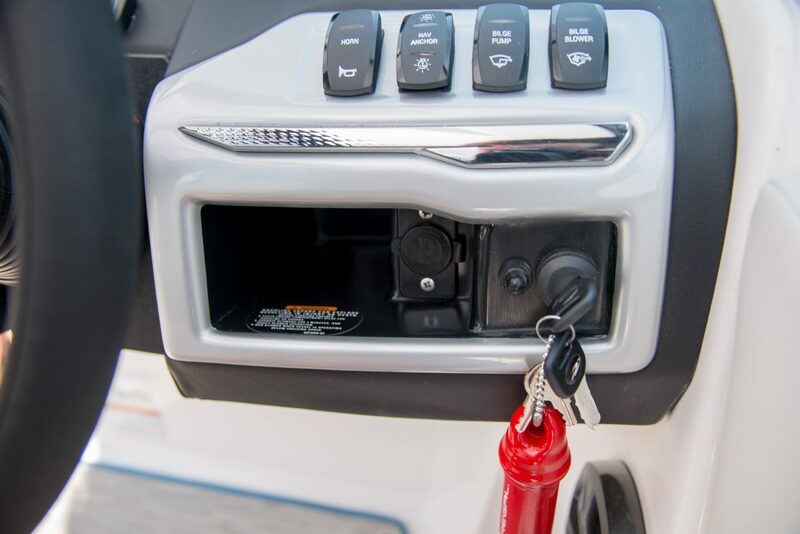 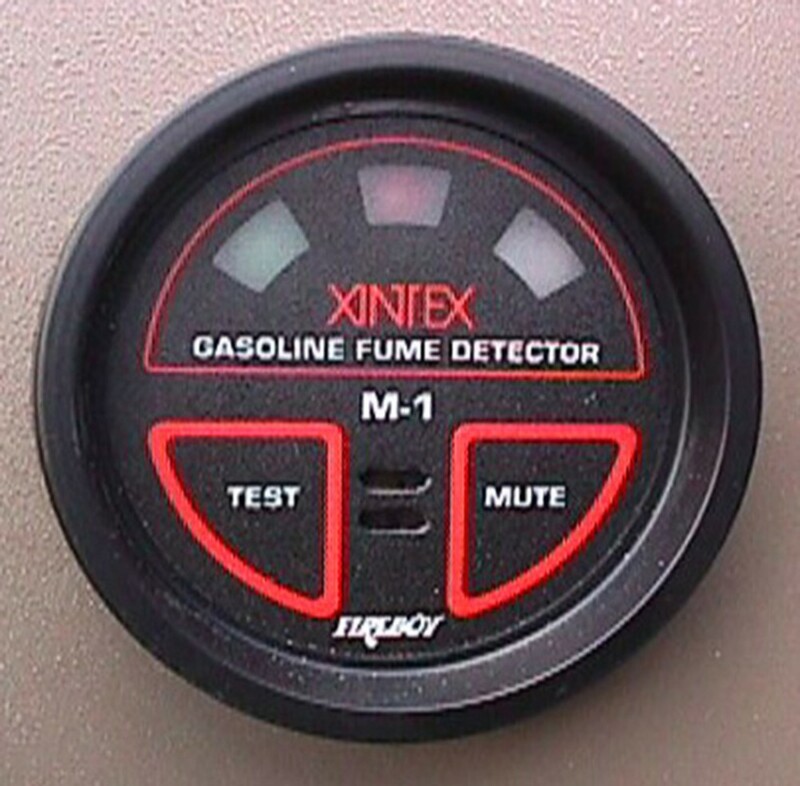 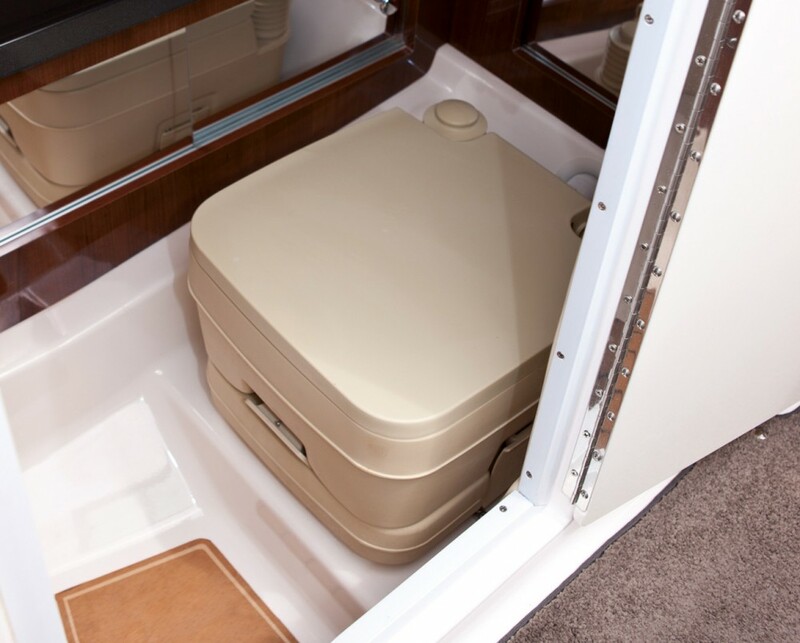 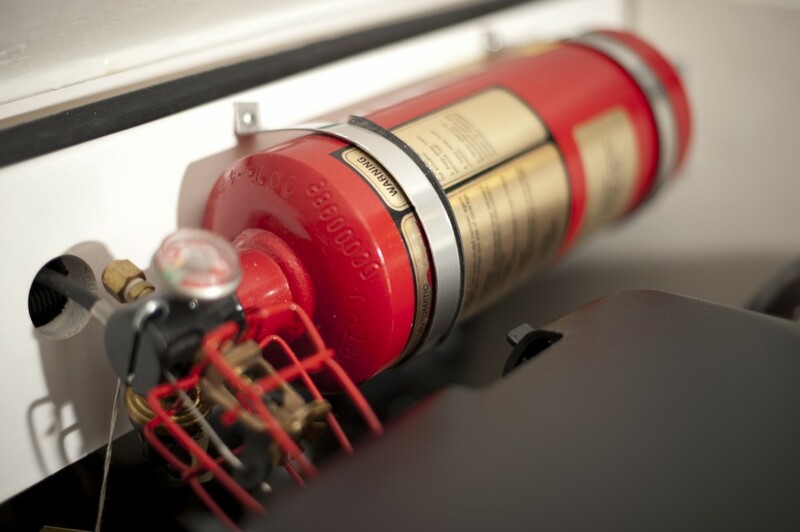 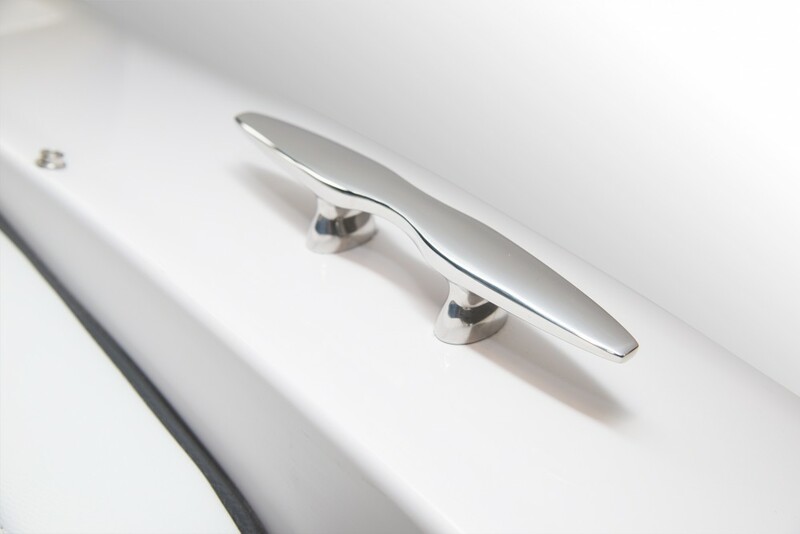 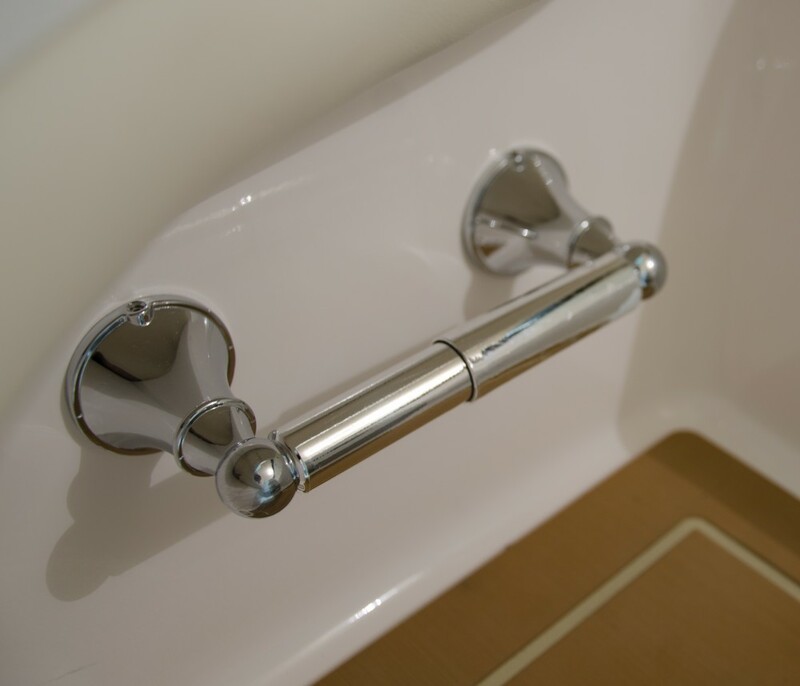 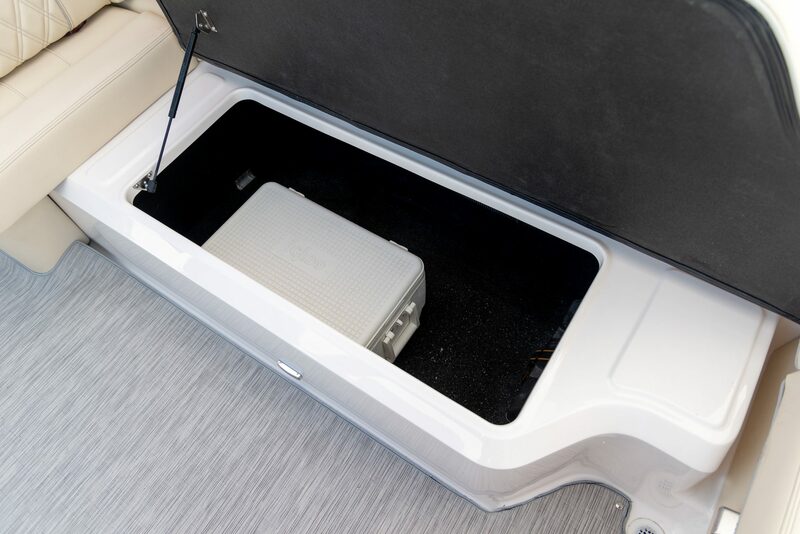 The gas assisted rams on the storage compartments allow for hands-free access. 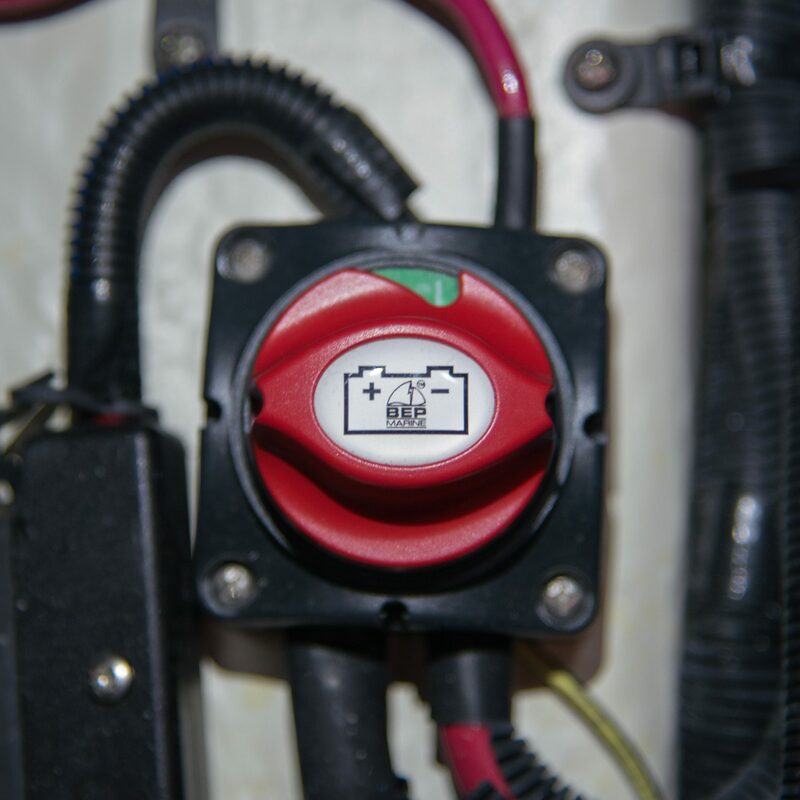 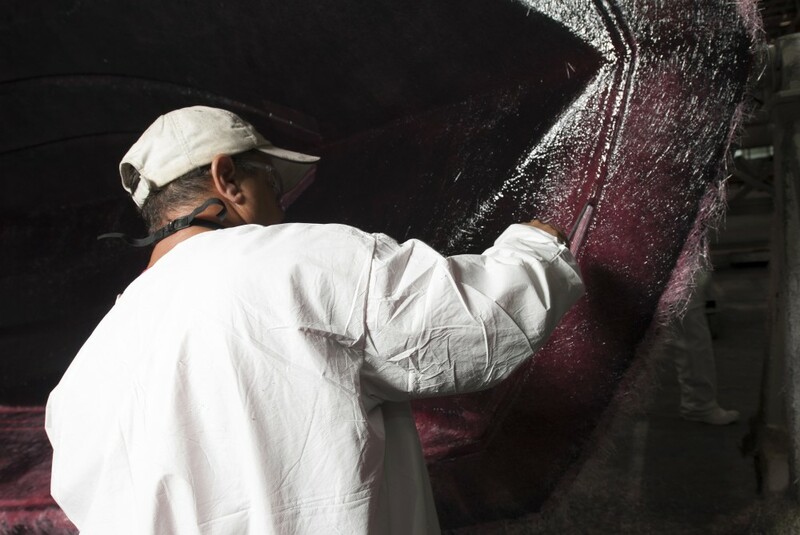 Aside from superior engine room access, the forward opening engine hatch keeps routine service work and maintenance out of the cockpit.